Dawn's memorial for the 144 children and adults of Army Public School Peshawar who died on December 16, 2014. When the nightmare unfolded, teachers and students of the Army Public School Peshawar had just returned to their classes after recess. Some students, including 18-year-old Yasir Iqbal, gathered in the large auditorium and were attentively listening to a lecture. Others sat at their desks, eyes on the clock instead of the blackboard, silently urging for the hands to move faster for the day to end so they could go home. In grade one, it was six-year-old Khaula’s first day of school. She was overjoyed that she had finally joined her siblings instead of staying home. It would be her only day at school. Khaula’s would become one of the 144 names—most of them children’s—on a long list created by a group of murderers that day at the school. The incomprehensibly high body count combined with the vulnerability of the victims make it the most horrific attack in Pakistan's history. And while this number, 144, is a story unto itself, the 144 stories within it have to be told. 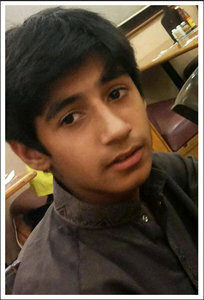 Eighth-grader Uzair Ali saw the attackers and leapt to shield his friends by lying on top of them. He was killed; shot 13 times, but he managed to save his companions. 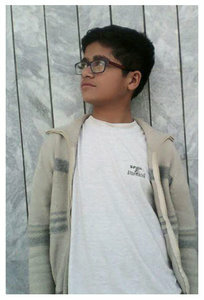 Fourteen-year-old Fahad Hussain opened a door so his friends could run out. He stayed by the door making sure everyone was evacuated. He was gunned down while doing so. Below are 144 accounts, of courage and sadness of children, women and men whose absence will be forever painful, always remembered. 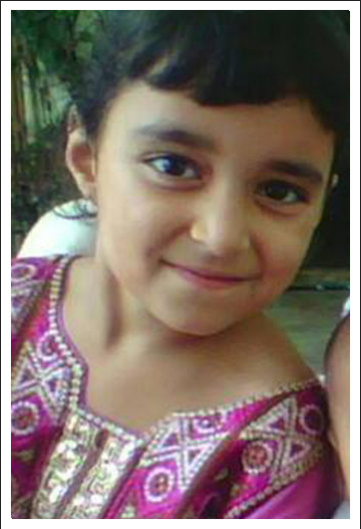 Khaula was the youngest, and only female student killed in the horrific attack. 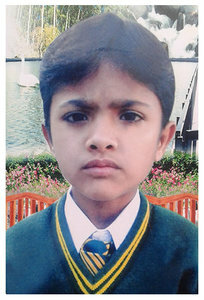 According to her father, a teacher at APS, December 16 was Khaula’s first day at school. She had gained admission to class 1 a day earlier, and was excited to study at the same school as her siblings. Her family describes little Khaula as a flower. Even at that tender age, she was passionate about education and was outspoken about the right of girls to go to school. She helped weak classmates with their English and Urdu. She persuaded a professor in her neighbourhood to send his daughter to school, and despite his vehement opposition, he melted. He was swayed by Khaula and her sweet words. Her family is shattered. Her mother says she will never recover from the loss of her precious daughter. Polite and studious, Shahzad had dreamed of becoming an airforce pilot. Rashid Minhas was his role model. 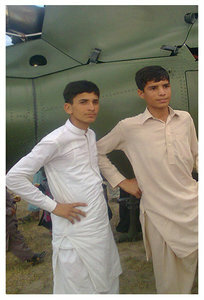 Shahzad would collect pictures of the airforce, and loved reading books about fighter jets and air combat. 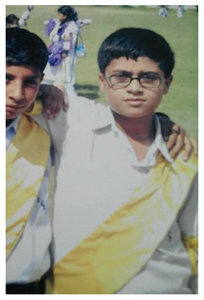 Shahzad enjoyed playing sports, especially cricket. Ahmed Shahzad was his favourite player. 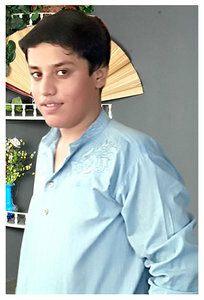 His younger brother Zakriya, who is a student at the APS, recalls how once in grade 7 Shahzad injured his arm during a football match but didn’t quit playing despite the fracture. 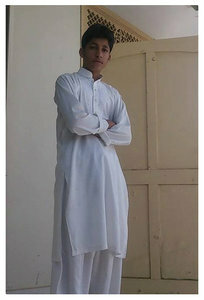 On the day of attack, Shahzad had woken up early, eager to put on his new clothes. 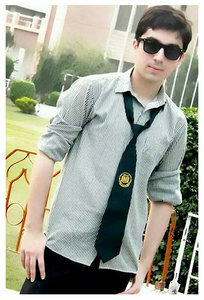 The clothes were for his upcoming interview for PAF College. 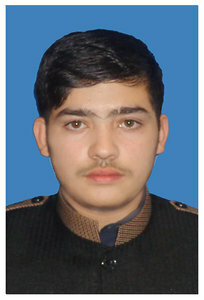 Shahzad had passed the college test with 90 per cent marks. The result arrived seven days after his passing. 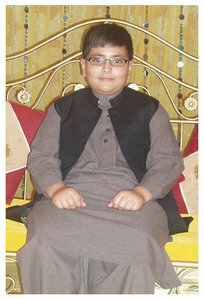 Shahzeb always rushed home from school to dive into his computer games. He would save all his pocket money to buy CDs of the latest titles. When he switched off from the gaming world, he would listen to music and also read books. 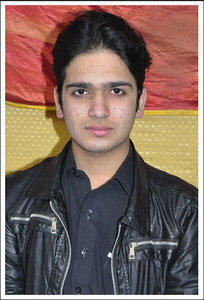 Young Shahzeb also performed well when it came to his studies and secured high marks in his last exam. 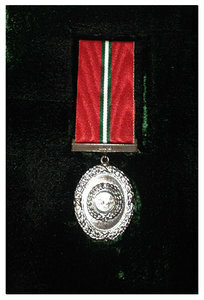 He won several medals in academics and extra-curricular activities. 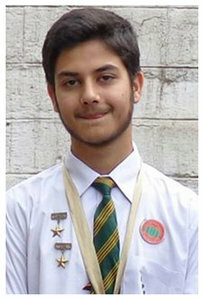 Remembered by his father as a brave boy, Shahzeb chose the lives of his friends over his own. 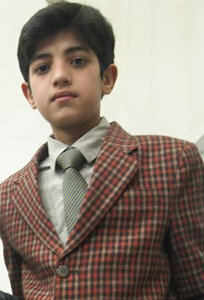 His classmate Samiullah says Shahzeb saved him and their other friends during the massacre. 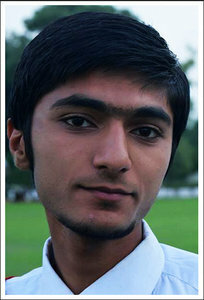 Ziaullah wanted to become an electrical engineer when he grew up. He never missed the opportunity to try and repair electrical appliances at home. 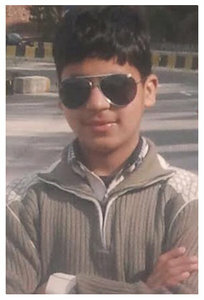 Ziaullah's teacher recalls that the boy loved maths, and always talked about wanting to invent interesting machines such as an electric car. Naturally, Ziaullah was an avid fan of the racing game Need for Speed. He was very close to his mother and called her his best friend. One of his favourite activities was visiting the bazaar inside Peshawar Cantonment to sip on hot corn soup with his brother. Click tabs below to view the digital memorial. 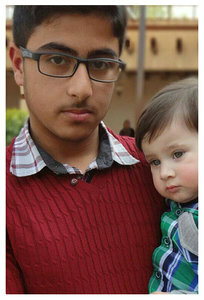 Ahmed was wise beyond his years, his mother says, possibly because he lost his father when he was 4-years-old. He had assumed a tremendous responsibility at a young age, as a result of which, unlike other children his age, he would not ask his mother to buy him anything. 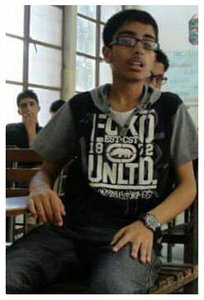 Bright and studious, Ahmed had a beautiful singing voice. He was often called upon to recite Naats. He would detail his future plans to his mother; he wanted to become an auto engineer. He would sketch designs and tell his mother he would build real cars one day. His mother says he was an old soul, and because of his love for poetry, his mother would often lovingly refer to him as Shair, Ashfaq Ahmed. After his father, he took care of me, his mother says. 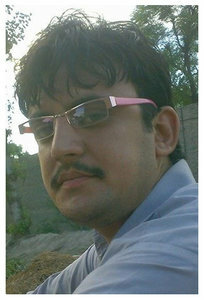 Azaan Toraylay was true to his name (means brave in Pashto). Azaan wished to join the Pakistan Army like his father. Once, he even performed guard duty when his father’s vehicle gave way in Shikarpur on the Grand Trunk road. His father says Azaan kept watch through the night so he and his friends could sleep. Azaan was also fond of keeping pets. His father recalls how when Azaan passed, his pet dog was saddened to the extent that he got sick, and for about 20 days, refused to eat any food. Young Azaan was also fond of playing cricket. He would urge his father to arrange informal cricket tournaments with his friends. Proud of Azaan, his family regards him as a brave boy. But the tears in their eyes betray how with him gone, their life has changed so much. For Fahid’s parents, he was something of a gift. He was their only child and they cherished every moment they spent with him. 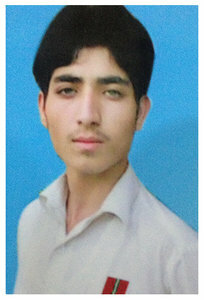 His parents shifted from their village to Peshawar so Fahid could get a good education. He wanted to be an Air Force pilot. He loved sports, especially basketball and cricket. He was part of the school team and also played in the neighbourhood. He prayed to God to give him another sibling to practice with. His parents are devastated by the death of their son. Gul Sher was a good student. He was House Captain at his school and hoped to be a doctor some day. He wanted to be a famous heart surgeon and open hospital that would treat patients free of charge. He loved playing football and would often take his football shoes to school. According to his mother, he was particular about being tidy and dressed like a gentleman. He wouldn’t use a bathroom if it was not clean. He liked parrots but did not have pets as he didn’t want to keep them in cages. He had a good memory and was always the one to remind his friends and relatives about the birthdays of others. 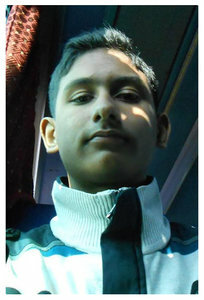 Hamid was a charming young boy. He was soft-spoken and had the kindest heart. He was an excellent student and was popular at school. He loved his little sister Sana very much. He wanted to be a doctor and open a hospital for the poor. He was fond of animals. His brother Jawad says Hamid once adopted an injured puppy that he saw out on the streets. He took the puppy to the vet, despite the clinic being far away from their home, and nursed him back to health. 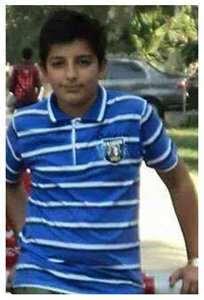 The family says it is painful for them to live without Hamid, who was the light of their lives. 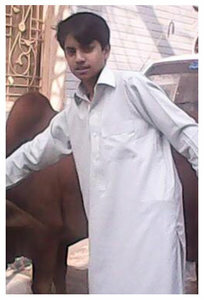 Hammad loved horses and was an excellent horse rider. 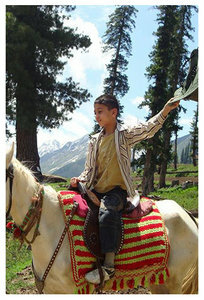 His uncle had bought several horses in his Punjab village so Hammad could practice riding. 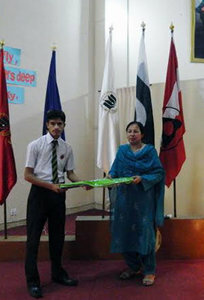 He took part in a competition in Lahore and won a trophy. His other hobby was collecting coins and antiques. He would decorate them all over tables and cupboards at the house. Azhar dreamt of becoming a doctor and providing free treatment to the poor. Biology was his favourite class at school and he always topped with 90pc marks. 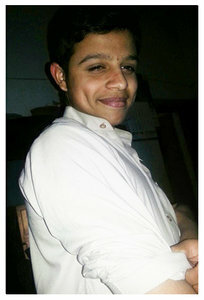 Topping his last exam on Dec 12, Azhar's family had planned a function on Dec 16 ─ the day of the attack. 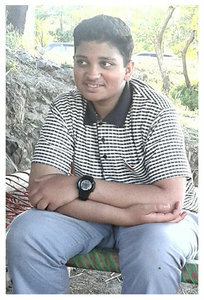 Azhar was a kindhearted and and softspoken boy. Once during a trip to the family village, he saw a puppy trapped in bushes during a rainstorm in freezing cold weather. The place was slippery and dangerous, his father says, but he brought the puppy home and fed and cared for it. The next day, he returned it to its mother. His father says whenever he meets Azhar’s friends, he misses his son very much. Hailing from Charsadda, Rizwan was as big cricket fan. His brother, with whom he shared a room, said that they often played cricket in the bedroom. After his passing, he says he can never play again. 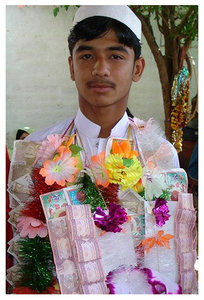 Rizwan’s father shares while Rizwan was playing in a public garden he found Rs2,000 dropped by someone. He was only in the second grade at the time but he promptly went to the reception and handed the money over to the guard, telling him to give it to the owner if he came looking. His parents say they feel their son’s loss deeply, but are proud of the life that he has lived. For Wahab’s father, the loss of his youngest son was too much too bear. Two months after the horrific attack, his father’s health took a turn for the worse. He passed away. His mother says her son was a studious child who worked late into the night. She also says he was very sensitive to his parents needs. He was close to his father, and would often discuss his passion for science and research with him. He wanted to become a scientist. He loved cats. He took care of many strays, giving them milk and preparing special meals for them. The family is shattered by this tragedy. They have lost the sole bread earner. Wahab’s mother prays for better days. Wasif was the youngest of five siblings and for this reason, all his demands and wishes were met by his parents and siblings. He loved animals. He once saw a puppy drowning in a canal and jumped in to rescue it. He aspired to become a doctor when he grew up. He wanted to work in his village of Gundi Mirah Khan Khel Khattak. He would often tell his brother of his dream to establish a free treatment clinic in the village after he secured an MBBS degree. His parents say they miss him dearly and wish he was with them every day. A punctual and studious child, Yasirullah had originally aspired to be a doctor. 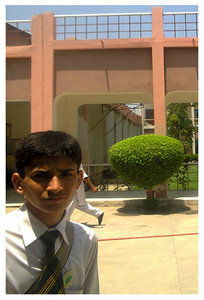 But after being selected to attend Cadet College he decided he wanted to become an army soldier. Hailing from Chitral, young Yasirullah enjoyed playing sports and won many medals and awards in cricket, badminton and football. Yasirullah’s best friend was his cousin Syed Zulqarnain Shah. 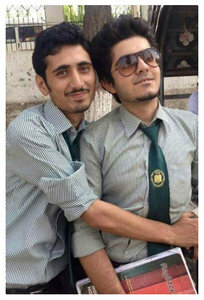 Both boys were killed in the auditorium. His father says every time he sees his son’s remaining friends, he misses Yasirullah. Abdullah truly loved animals. He kept parrots, hens, rabbits and fish at home. When the hens laid eggs, he eagerly waited to see them hatch so he could play with the chicks. A dozen chicks were born just recently, but Abdullah was not there to see them. 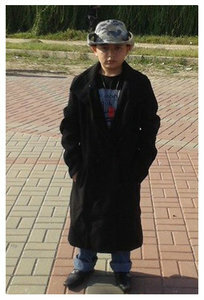 His father says he was close to Abdullah, and that he would seek his son’s opinion each time he dressed up to go out. He says he would only wear waistcoats when Abdullah approved the colour. He recalls a time in the UAE, when he dared Abdullah to swim in a hotel pool that had strict rules regarding swimwear. He said Abdullah had a word with the lifeguard, and jumped right in fully clothed. He loved to take up a good challenge. 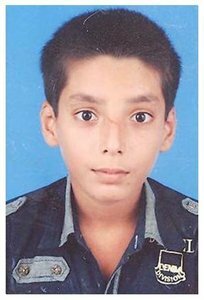 A clever and responsible child, Adil Shahzad was the eldest of four children and regarded as a role model by his siblings and cousins. 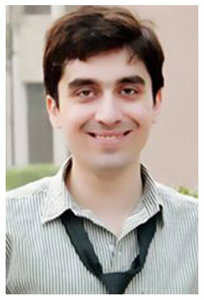 Adil wanted to be a professor and aspired to get a PhD degree. 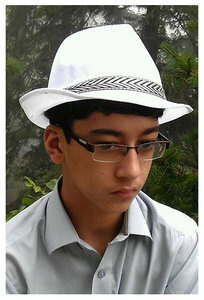 A bright student, he enjoyed English, Urdu and Islamiat. He was also a good athlete, but had fractured both legs in 2010, making running difficult. 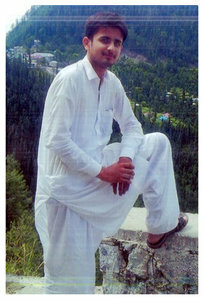 Adil was fond of the outdoors and picnics and tours with friends whenever he visited his village. Among Adil’s favourite foods were the milk and curd of his village, and the apples, bananas and oranges which grew there. Adil and his siblings watched Doraemon together, his favourite cartoon. His family members are proud of him and miss him every day. Ailian spent every spare moment of his time riding his bicycle. I had decided what bicycle model I was going to buy him after his exams, his father said. Active and sociable, Ailian was a good student too. His parents proudly display his letters of appreciation and certificates. He had planned to join the Pakistan Air Force. 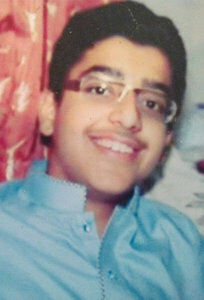 Ammar Iqbal's family could not be contacted for this obituary. 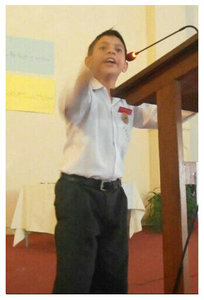 His teachers describe Ammar as an intelligent and obedient student. Miss Jameela says he had a jovial disposition and teased both students and members of staff. He was a hard worker and outstanding in his studies. He wanted to become a surgeon. 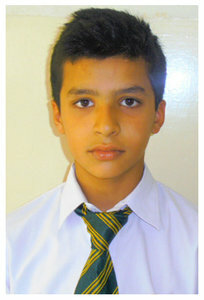 The youngest of four siblings, Arham was a brilliant student who had earned a double promotion from grade 6 to grade 8. He took a keen interest in computers and was just learning to chat through Skype and Facebook. His favourite food was Peshawar’s popular Chappali Kababs, which he would often ask his father to get for him on his way home from work. Even at his young age, Arham would play the role of mediator if his siblings quarreled, and was the one who would help them patch up after an argument. His family, especially his father, misses their young boy very much. Mr Khattak often goes to his son’s room to clean it just as Arham liked it. 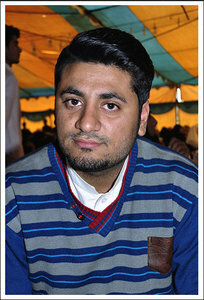 Atif ur Rehman, the youngest of eight siblings, aspired to be a doctor and serve the residents of his village. 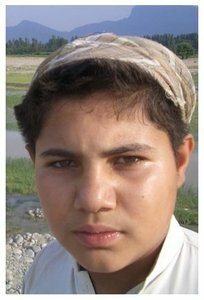 His elder brother facilitated Atif’s move from their village to Peshawar for his studies. A technology enthusiast, he enjoyed watching informative documentaries about gadgets and playing computer games. 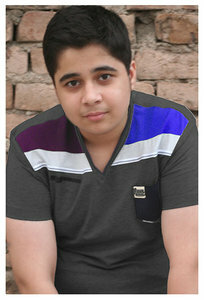 The responsible and soft-spoken teenager also liked playing cricket and football and was an avid Justin Bieber fan. 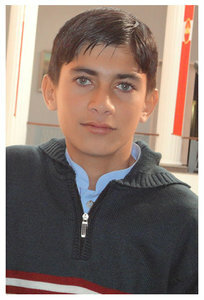 A respectful and empathetic child, Awais wanted to study medicine and become a doctor. He often lamented the condition of hospitals, particularly those in villages, and hoped to do his bit in improving and reforming systems. 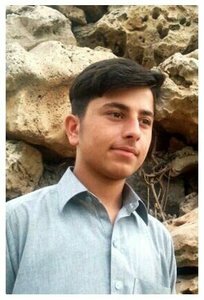 Awais was the youngest among the sons, and his father, who has lost two sons to the massacre, remembers him as his most intelligent child. He was very good in maths and helped his siblings in academics. 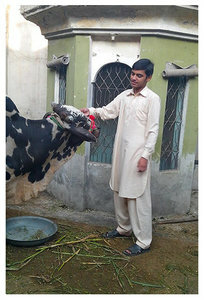 Young Awais was also fond of keeping pets. At one point, he had two pigeons that he looked after and when one of them died, Awais couldn’t eat anything out of grief. Awais was of a happy disposition. Although almost always in a jocular mood, he remained respectful of elders. He was also a responsible brother of four siblings, and would never hit back when squabbles with his brothers would get a little out of hand. 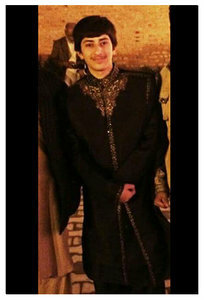 Shaken by the death of his son, Jamal Abdul Nasir talks about how Awais loved dressing well. It was only three days before his son’s passing that Jamal had brought him three new suits from his trip to China. Those suits could never be worn by his son. 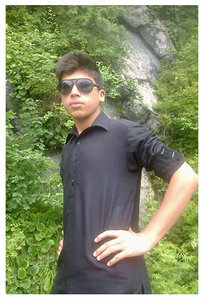 Awais was very close to his mother. His epitaph says “da moor bachay” (Pashto for son of the mother). He went to see the plot of land the family had bought t construct a home on, the day before his passing. He had asked his mother when the construction would begin, to which she said "after Ramazan". At the time Awais said he may not be alive to see it. 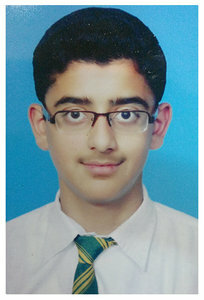 Be it a Spelling Bee or excellence in Arts, Baqir was an extraordinary student. He was so fond of reading, that he would finish his work and read books from his elder sister’s school curriculum. He had a superb memory and wanted to put it to good use by becoming a doctor. Unlike other children his age, Baqir was a serious child. His father says he did not crack jokes and had a mature personality. His siblings describe him as a child who was always curious about knowing more. He was dear to his parents and siblings as he was the youngest in the family. “We are missing your voice, your chuckle, your presence and all the fun we used to have,” his sisters say. 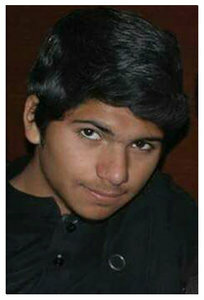 Fahad was killed the day of his birthday. The night before the attack, he had invited his friends and cousins to celebrate his birthday at home. 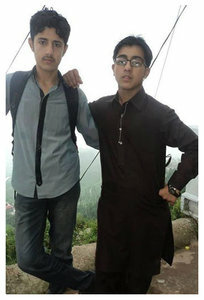 His friend Rehman describes his friend's bravery on the day of the attack. 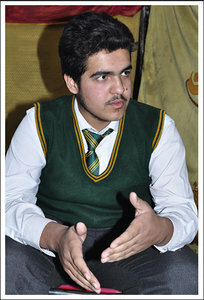 When militants entered the classroom and opened fire, Fahad opened the door and asked all his friends to run out. He stood at the door and made sure his classmates evacuated the room. It was then that he was hit on the head and leg. He called out to the others to tell his brother Ahmed, also a student at the school, to come help him. But it was too late. 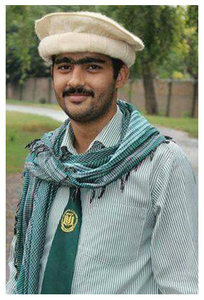 Fazal took admission in APS for the sole purpose of joining the Pakistan Army as an officer. He enjoyed cricket and often played against his brothers on the roof of his house as their father forbid them from playing in the streets. He also liked horse-riding and often went to parks for the very purpose. Fazal was also a skilled guitar player. 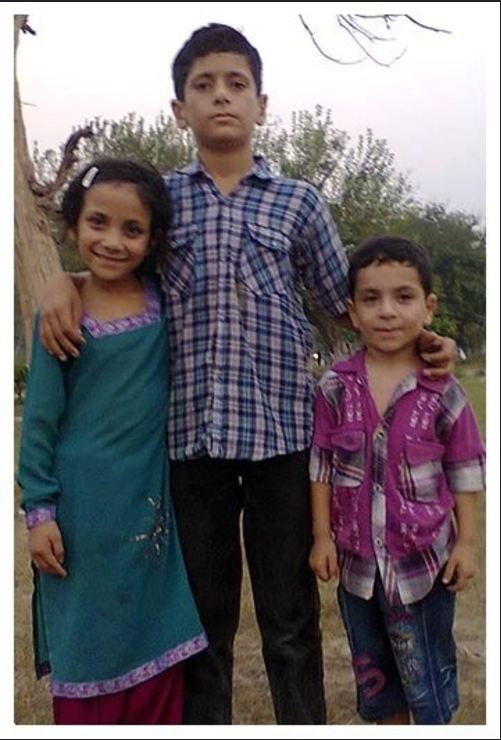 Furqan was fond of babies and often took care of his younger siblings and cousins. He also loved baby chicks and would often bring them home. He enjoyed watching and playing cricket. If there was a power breakdown, he would run to his neighbour’s, who had a generator, to continue watching the match. Hamayun was a naughty but loved student. At least once a week, his father would be called to the school due to this trouble-making boy. He says the minute he would reach the gate, the gate keeper, watchman, gardener, teacher and head teacher would start off, full of complaints about him. But because he was a good student, no one ever became angry with him. He was known in school as “Italian boy”. He was close to his father and had a special bond with his grandfather Haji Saddar Azam. Humayun’s father says his grandfather had not been able to the bear the loss of his beloved grandson and grows weaker each day. 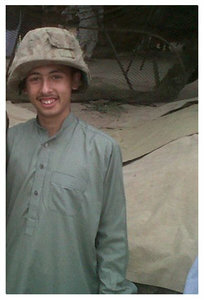 The son of a soldier, Hamid was a star student. He was given awards and prizes for best English vocabulary and essay writing as well as best picture memory and earth day poster. He also won a Best Young Journalist certificate. On the day of the attack, he had prepared a presentation and asked his uncle to pray it is the best in the class. His teachers said he had leadership qualities as he was parade commander at school and was also selected to be proctor. He used to joke with his father and lovingly call him by his first name, a gesture his father says he will never forget. Hamza was a studious child. He had held several positions in his class and had also won many awards for sports and other activities. The only brother of two sisters and close to his mother, Hamza would eat whatever meals were cooked at home but did particularly enjoy burgers and karhai gosht. 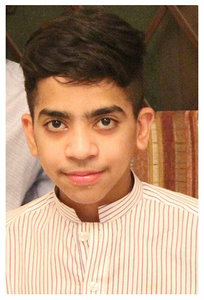 His parents recall how the one month the family spent together during Hajj last year created fond memories for them now that Hamza is no more. During Hajj, Hamza looked after two old ladies, helped them with their wheelchairs and made sure they were comfortable. 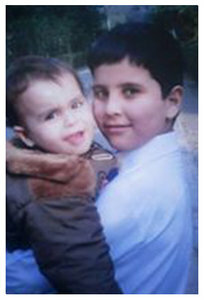 Haris and his brother Ahmad were both targeted the day of the attack. 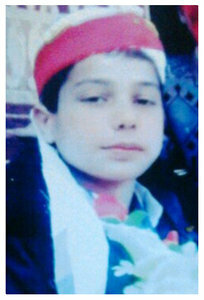 While Ahmad was grievously injured and later treated at a UK hospital, Haris lost his life. 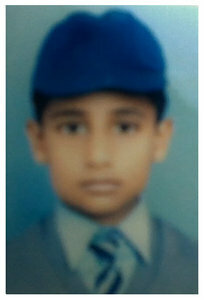 He was an intelligent child and bagged top positions from nursery till class eight. His room is full of certificates and medals. His parents describe their boy as an obedient and respectful child. He wanted to grow up and be a doctor. He dreamt of opening a hospital that treated the poor free of charge. Hasnain was an only child. When asked to talk about his son, his father says he is unable to express his sorrow. He had big dreams for his son. 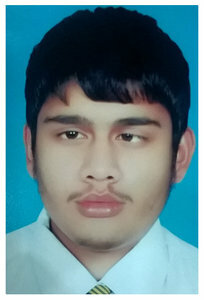 He hoped that Hasnain would complete his studies and work hard to make a mark in society. 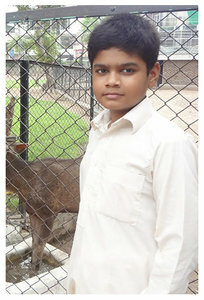 Hasnain loved to visit his village, where he played for hours with the baby farm animals. He was quite particular about his clothes and would often ask his father to buy him new outfits. His mother was unable to speak. She misses her son very much. 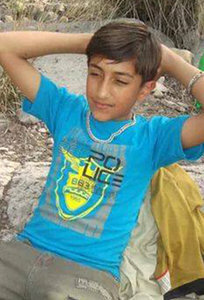 According to his father, Rana was a brilliant student and had excellent oratory, reading and writing skills. Rana wanted to become an army engineer and serve the nation. 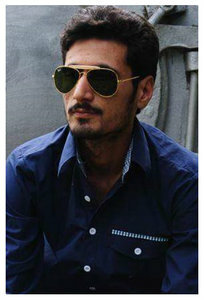 He idolized cricketer Shahid Afridi and would try to emulate his style. 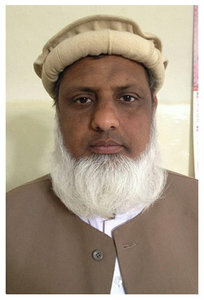 Among politicians, he liked Imran Khan and would often do a parody of him. The family finds it hard to accept that their son is dead. They say it is still hard to eat or laugh the way they did when he was alive. Although a child, Abdullah could not really enjoy the carefree days of youth; his father died when he was just 12. He did not play pranks or act naughty like most other children his age, his mother says as she describes how he looked after the family. When everyone slept at night, Abdullah would wake up and make sure all the doors of the house were locked. He was close to his mother and his love reflects in the many drawings he made to thank her. 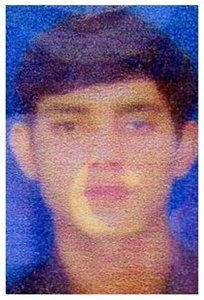 Aspiring to join the army, Abdullah was also a position holder and would always remain among the top five students in his class. Not only was he bright, he was also creative in his thinking and had made a mathematical formula for his studies. 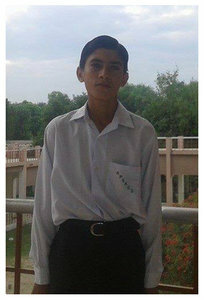 Known as the young scientist of the school, Ghasaan was a bright student and a position holder in his class. He was creative and his father, who is a PHD scholar, says that Ghasaan’s writing was impeccable and barely needed any correction. He was fond of writing poetry in both English and Urdu languages. Ghasaan’s teachers also recognised how bright he was and called him the teachers’ motivator. Ghasaan’s father tells that on the day of exam result, the school guards and gatekeepers would wait for him as he would always distribute a special meal. Haris’ death crushed his family. 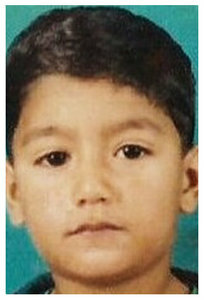 For his parents, it was the second time they had lost a child, as their son Faizan had passed away at age three. His mother describes Haris as an obedient child who did everything for her the moment she asked. She says he was a responsible boy, who took care of her after the death of her first son. She adds that they were more best friends than mother and child. She says that while she kisses her children goodbye before they leave for school, that fateful day she did not kiss Haris as he was running late – something she deeply regrets. His family struggles to cope with the loss of a second precious member. The eldest among his siblings, Muhammad Salman aspired to become a doctor and his father was prepared to send him abroad to study medicine in case he failed to secure a position within Pakistan. He enjoyed playing cricket and was good at the game. However, riding bikes was his favourite past-time. His father remembers how Salman would look for any opportunity to go out on the bike. 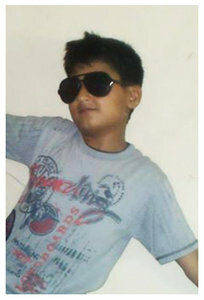 A jovial child, Salman cracked jokes all the time and would do parodies of famous actors and celebrities. He was very close to his grandfather and since Salman’s death, his grandfather’s health has been deteriorating. 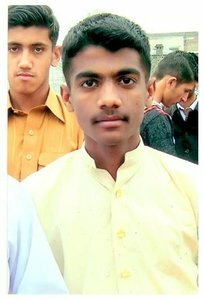 A position holder in his class, Tayyab was not only bright when it came to studies but was also a very good volley ball player. He had won several awards. His father tells how Tayyab was short-tempered and would do things in a hurry but at the same time made sure he didn’t get angry in front of his father. 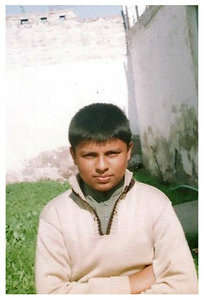 Tayyab lost his mother in 2009 and at a very young age after which his grandmother looked after him. He learned many things by himself, such as riding a bike and using the computer. His family misses him. For the most part, Nangyal Tariq was a somber boy but he would on occasion crack jokes to make his family members laugh. 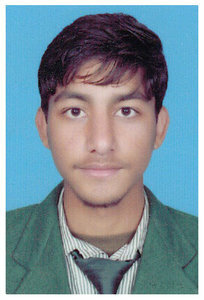 He showed a keen interest in studies and wanted to become an Army Captain. He liked experimenting with his hair, and would often come up new hairstyles, his mother says. Nangyal was affectionately called Sher Khan – he loved being addressed by his pet name. His family says that if he was ever unresponsive, the trick was to call him ‘Sher Khan’ to get his attention. Shaheer’s mother finds it hard to come to terms with the senseless killing of her son. She still keeps the tie he wore to school that morning, which now has visible tears from the bullets. Shaheer was a naughty student. 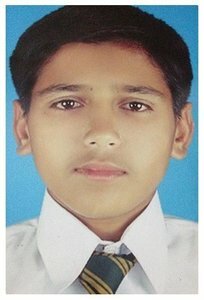 He loved computer games and had been begging his parents to buy him a PlayStation 4, which costs Rs48,000. When his parents told him he could only buy it if he did well on his exams, mischievous Shaheer prepared a hand written report card in order to claim his gift. The family say they are trying to be brave but they miss their boy terribly. The eldest of five siblings, Omer played the role of the responsible older brother. His parents say he was an extraordinary son. He knew what they needed even before the said a word. If his mother was busy with household chores, he would cook for his father and siblings. He was called the ‘leader of the house’. On the weekend, he would wake up early morning and wash his father’s cars without being asked. Omer’s mother wakes up every night, searching for her son. The family prays for strength and say he is in a better place. 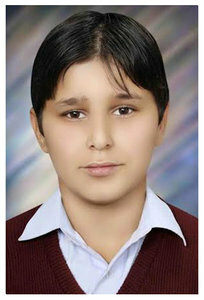 Saif Ullah Durrani was known as ‘Potato’ to his classmates because of his love for the spud. He was very fond of food. He and his brother often competed with each other to offer regular prayers at the mosque. Keeping the mosque clean and rendering other services to it was important to him. His sister says he was naughty, which other children liked. Every time she asked him to bring something for her, he would ask for a commission, refusing to do so otherwise. His father says his son would not eat lunch or dinner unless the gardeners, gatekeepers and drivers had theirs. He would personally go to them and ask them if they had eaten, and if any one hadn’t, he would request his mother to prepare a meal for them. Shahood was an extraordinary student. With nearly 50 certificates and awards to his credit, it is no surprise that the young boy was a prominent figure at school as the proctor and ‘peacekeeper’. His teachers remember him as the ‘shining star’ of the school. 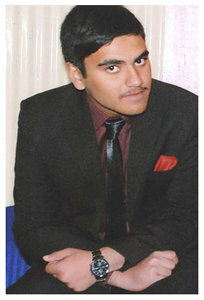 He hoped to take his CSS exams and work in Pakistan’s civil services. Shahood was very responsible, and had opened a bank account and got a passport made for himself. 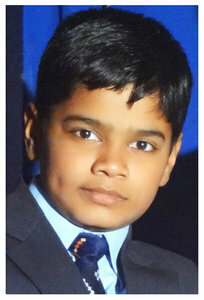 His parents, who keep his cheque books and passport with them, say he had saved thousands of rupees in his bank account. 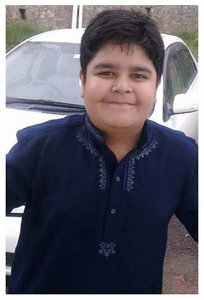 Sher Nawaz was a considerate and kind boy. He believed in living a modest existence and never asked his parents for more money than was required. According to his father, whenever Sher Nawaz went to visit his relatives, they would be full of praise for his good manners. Sher Nawaz was also very helpful around the house. When he came home from school, he would help his mother in the kitchen, wash the dishes and clothes and knead the dough for cooking roti. 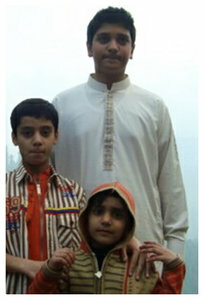 When his mother died, Zahid took it upon himself to take care of his siblings. He never wanted them to feel her absence, so he showered them with love. His youngest sister Maria was his favourite. 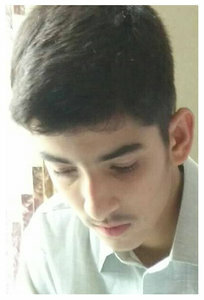 His father says Zahid was an ordinary student; he worked tremendously hard. His best subject was English. He was fond of skating. His father bought him a pair of skates much to his delight, so he would often be seen skating outside the house. His family says losing him has made them very bitter, but they pray for endurance and for better days. 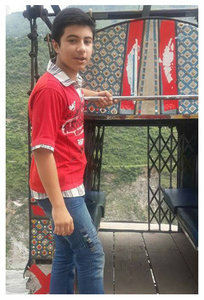 A native of the Nowshera district, Ali is described by his parents as a polite and considerate child who did not make demands of them as other children sometimes do. Whether it was clothes or other gifts, he was content with whatever he was given. If there was one thing he was particular about, it was his appearance – especially his hair and skin. He had a special oil and cream for his hair and skin. He was very close to his mother and grandmother, with whom he shared a special bond. Sometimes in the winter, he would tease his grandmother by switching the fan on and removing her blanket. She would lovingly make sweet parathas for her grandson. His absence in their lives is felt every day. His sister and mother weep for Ali and say they will never forget him. 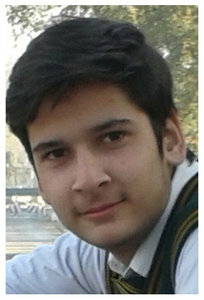 Eldest among the siblings, Sohail was a responsible and caring child. Being the eldest, he was closer to his parents and would help them out in looking after the younger siblings and helping his mother in the kitchen. 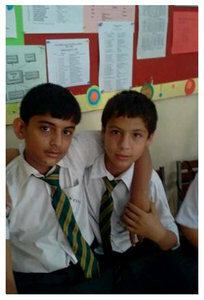 Sohail was very close to his brother Zohaib. 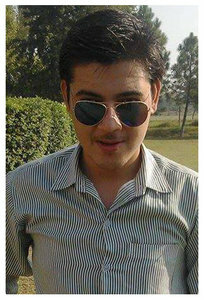 Sohail was a bright student and wanted to study in LUMS after high school. 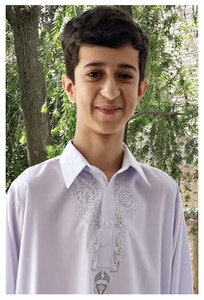 He began attending APS in November 2014, soon after his father’s transfer to Peshawar. Sohail’s father remembers how his son made tea for the parents on the morning of Dec 16. 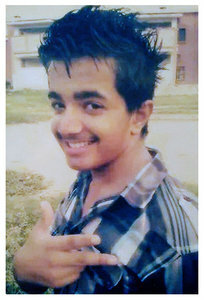 He remembers Sohail to be really happy at the time. Husnain had big dreams. He had a passion for science and engineering and wanted to invent something that would change the world. 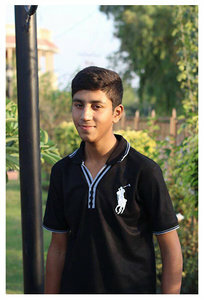 According to his mother, Husnain was the ‘perfect son’ who would always help her around the house. 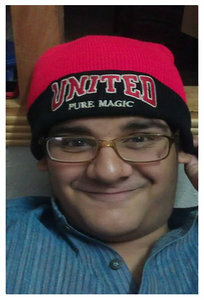 “He always joked around with me and always made me laugh,” Husnain’s mother says. 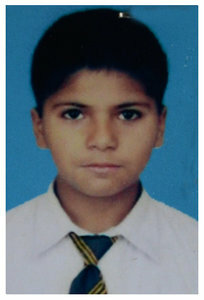 Aspiring to become a doctor and serve the people of his native village, Tanveer was a bright and responsible child. Although young, he was heavily relied upon by his siblings, both older and younger, for help with their homework. 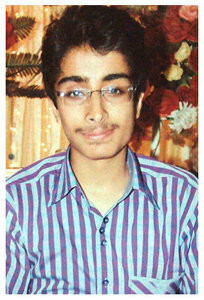 Tanveer was a good debater and would often partake in debating competitions. 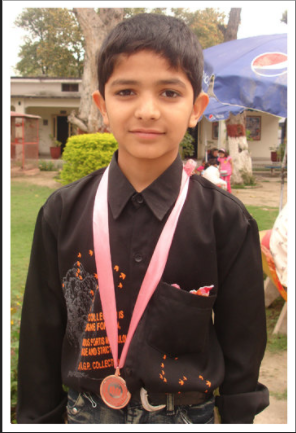 His father recalls how Tanveer had won many medals and how he himself wrote and worked on concepts for his debates. His father remembers how Tanveer would also help his mother out in house chores and was a source of support to all members of the family. Uzair was a big wrestling fan. He loved watching matches and also collected figures and photos of famous wrestlers in an album. He was an obedient son and was respectful of his elders. He was very close to his mother. His father recalls how, every day when he would return from work, Uzair would wait at the gate and jump onto his shoulders to greet him. They would often sit in the garden and talk about their day. 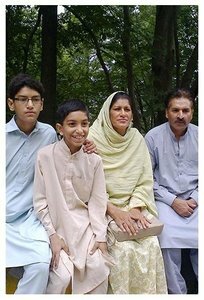 Uzair's family says their lives seem to have come to a standstill without him. 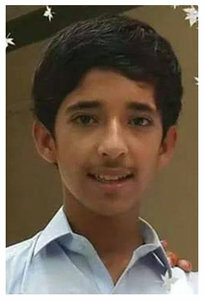 Mohammad Uzair Ali was a brave boy. His friends say on the day of the attack he fell atop them, shielding them from harm. This is why, according to the medical officer, Uzair was hit with 13 bullets. He was very dear to his grandfather, Haji Ali Khan and both were like best friends. 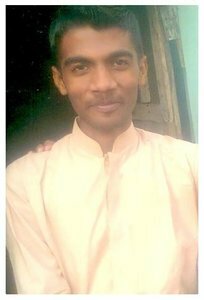 His mother says her son was a generous boy, and once gave Rs120 to a poor woman who was begging on the street for blood pressure medication. 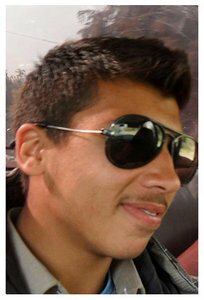 The son of a soldier, Umair aspired to become an airforce pilot. He used to collect pictures and information on fighter jets used by Pakistan and other countries. For his age, he had a good understanding of what it takes to be a soldier in a country marred by terror. 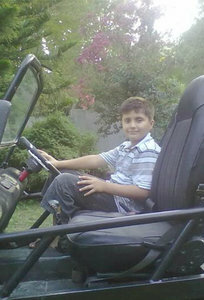 Umair was also very fond of race cars and heavy bikes and loved collecting pictures of these vehicles. 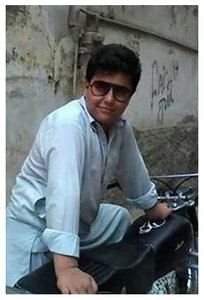 His father remembers how he had bought a bike for Umair and wanted to surprise him but it was not to be. It was the day of the APS attack. Umair’s bike stands by the porch of his house, still unused. With his nose buried in textbooks, Abrar Hussain was fiercely competitive academically. 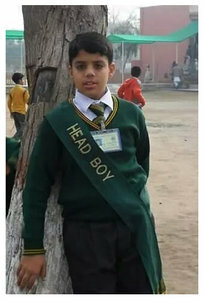 A hostel student at APS, he was top of his class for nine years straight. Whenever he returned to his village, he'd be found studying instead of mingling with friends. Every year, the school would call his parents in to show them his achievements. According to his father, Abrar was always worried about coming second. If he wasn't studying, he'd be found at home, curled up in a quiet corner reading. 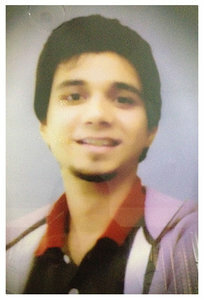 Ahmad was a position holder; he aspired to be a surgeon. His mother says he was very religious and offered all his prayers at the mosque. In fact, he would try to reach the mosque early so that he could recite the Azan. He liked to play cricket with his friends but more than anything else, he loved his parrots. Just a few days before the attack he had bought a brand new cage for them. Each night, before going to sleep, Ahmad had made it a habit to crawl into his mother’s bed and make sure he hadn’t said or done anything to hurt her. "If I did, I apologise for it." 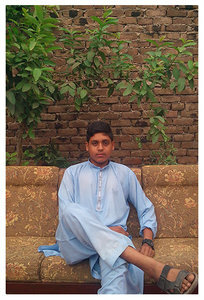 Mujtaba was a shy, quiet boy who hoped to join the Pakistan Army as a doctor one day. His best friends were his siblings. The only time he did shed his shy demeanor was when he played cricket. He loved the sport with a passion. 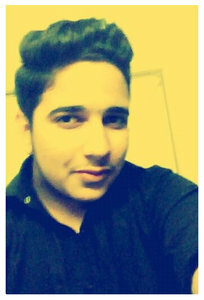 But if there was anything Mujtaba loved more than cricket, it was brand new clothes; he loved the way they looked on him. 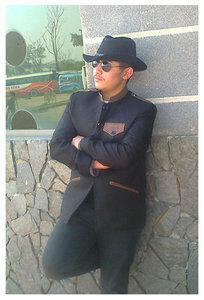 For this reason, his father got four suits tailor-made for him. They hang in his wardrobe, unworn. Asad was the ‘brightest child’ in the family and also the most athletic. 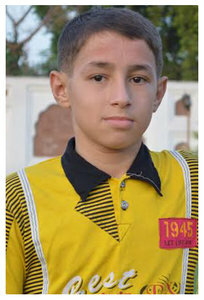 Four days before the 15-year-old passed away in the attack, he had won a medal in table tennis. In the summer of 2013, Asad and his family went out to spend the day by the river. 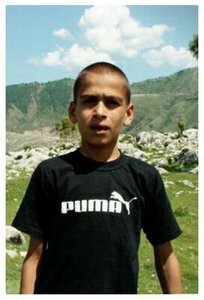 The young boy had just come out of the water a long swim when his cousin Zeeshan was swept up by a current and was going to drown. 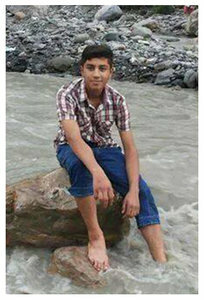 Without losing his calm, Asad jumped into the water and managed to pull his cousin out alive. He was a savior. 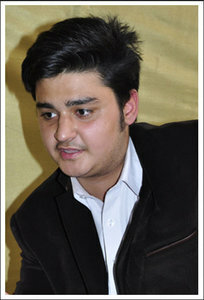 A quiet but confident teenager, Asfand Khan aspired to become a lawyer one day. He was also very passionate about driving and training at the gym. 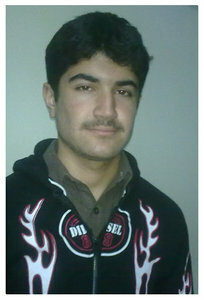 Unlike most boys his age, Asfand liked being solitary and would spend most of his free time in his room. His respectful demeanor earned him love from elders and admiration of those younger to him. 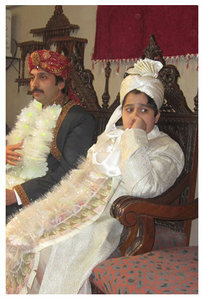 In his father’s absence, Asfand took on the role of the man of the family. He would shoulder his father’s responsibilities and take care of his mother and siblings. “After my son’s shahadat, I will have to start my life from scratch,” his father says. 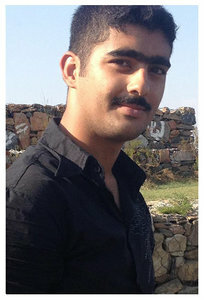 Bahram wanted to become a doctor and spend his life serving the underprivileged. Empathetic by nature, he was always moved when a disaster struck somewhere. 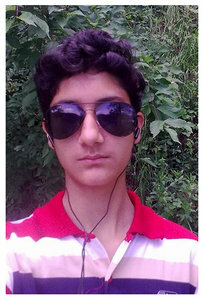 Bahram secured 91% in his last exam. This distinction was aside from the various medals he had won in academics and extra-curricular activities. 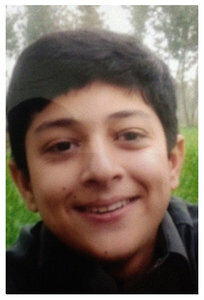 His father recalls a story Bahram’s friends shared from the APS attack. During the attack, a friend of Bahram fell to the floor and broke his glasses due to which he could barely see. Bahram came back to get him but on their way out was stopped by a terrorist. 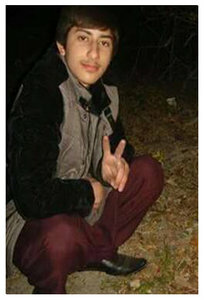 His friends recall that Bahram pushed the terrorist and received two bullets in the chest which resulted in his death. 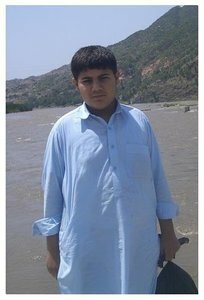 Basit Ali Sardar was no ordinary boy. His mother remembers him as a very considerate son who would assist her in household chores and especially in the kitchen. He would even prepare tea and meals for guests. He was very attached to his family and would frequently travel to his village where his grandparents are still live. 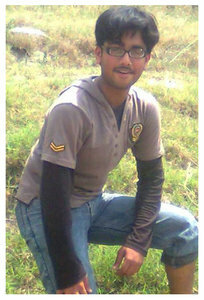 Basit wanted to join the army as an officer. 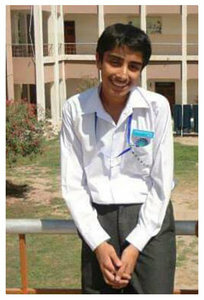 Failing the test once, he was selected to join cadet college on his second try. 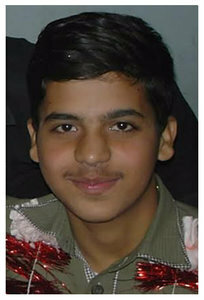 The selection letter was received by his parents after Basit’s passing. On the day of the attack, Farhan saved his brother. When he saw the attackers enter the auditorium and open fire, he pushed Taif to the floor and protected him, but lost his life in doing so. 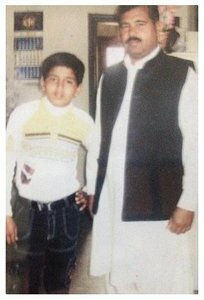 According to his father, Farhan was the most outstanding of his nine children. He may have been the youngest but he was the most intelligent and active. He was very close to Taif, who is just a year older than him. Farhan wanted to be a fighter pilot when he grew up. He watched videos of fighter jets for hours on end. While he loved to read books, his favourite pastime was playing video games. Project I.G.I and Grand Theft Auto were his top picks. Innately gifted, Waqar only had to scan his books once to be able to write a stellar exam and earn a position in his school. But along with academics, he loved extra-curricular activities; he won several laurels. 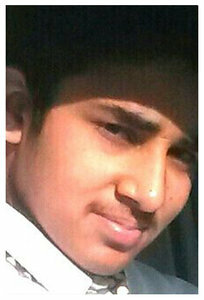 Waqar was a Qari and had learnt five siparahs of the Holy Quran by heart; he also offered prayers five times a day. He enjoyed both playing and watching cricket. He was devoted to his parents, and loved them immensely. His father Muhammad Riaz weeps while recalling his son’s many talents. Waqar’s mother, he says, still takes out her son’s belongings every day. 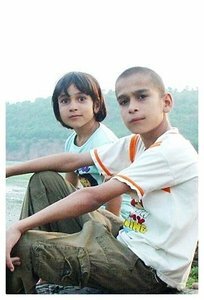 Haider was closest to his sister Saba. She says he was a disciplined person who never left for tomorrow what could be done today. He was a good student and aspired to be a soldier some day. He loved watching military videos. He was an avid footballer. He played at school as well as after home time in a ground near his home. His sisters weep for their dear Haider. Life is not the same without him. 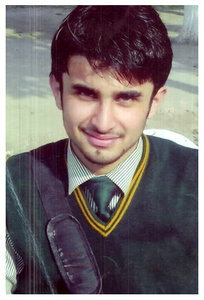 A dedicated student, a position holder, a parade commander in school, Hamza was known among friends as 'Captain'. He held a great desire to join the army. Like boys his age, he was fond of fast food and BBQ, with pizza, chicken tikka, biryani and seekh kebab being his favourites. Hamza was also fond of travelling outside the city and would visit Nathia Gali once a month. He was a respectful and loving boy who was close to his father. Hamza’s father recalls how his son had asked him to get him a pet chicken and goat for him upon clearing his exam. 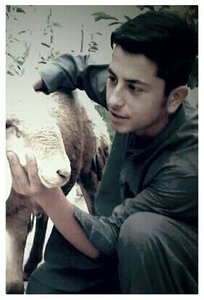 Hamza finally got his pets, just three days before the attack. Born to an army officer, Hayatullah’s desire to serve the nation ran in his blood. 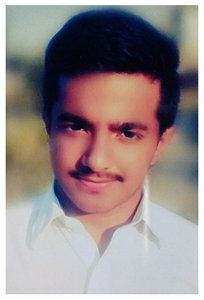 He wanted to join the Pakistan Army but his parents wished for him to become a doctor instead. 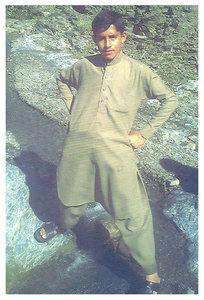 According to his father, Hayatullah was bold and confident and surprised elders with his quick intelligence. He loved automobiles, and would often surf the Internet for new car models. He excelled in both studies and extra-curricular activities and had won several medals for his achievements. Adept at both football and basketball, he captained his house basketball team. Four days before his death, he had won the title of ‘best basketball player’. Mohammad Ali Rehman, the eldest of three sons, was a studious position-holder who excelled at English, winning several competitions. Ali’s father says the day before the attack, his son had asked for money to buy a new notebook after his ran out of empty pages. His father had given him the money that night and Ali thanked his father as he was leaving for school. Mohammad Hussain says that when he received his son’s body, the Rs300 he had given him was still in his son's pocket. Both of Ali’s parents have recovered after the tragic incident. His mother underwent psychiatric treatment after the attack. His father says he dreamt of Ali, and his son told him that he is alive and with him always. An aspiring doctor, Ammar wanted to serve the people of his hometown when he grew up. Youngest among his siblings, he was very fond of travelling. He often arranged picnics and parties with his friends and was even planning to travel to Murree with them but the trip was postponed. Although a very intelligent student who always secured over 80% in exams, his teachers felt he was still a little lax and only studied during exam time. 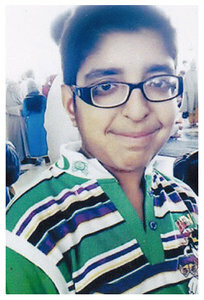 His parents recall an incident when Ammar found a wallet full of cash and important cards. The wallet belonged to a man who lived in Nowshera and Ammar went all the way there to return it to its owner. In a family of nine children, Mohsin stood out for being kind and honest. He loved to help those in need. He excelled in academics and had won many prizes. He enjoyed playing cricket, soccer and football. But he never let anything get in the way of his prayers. Mohsin liked eating all kinds of food but fish, in particular, was his favourite. He would often gather his friends and go fishing. 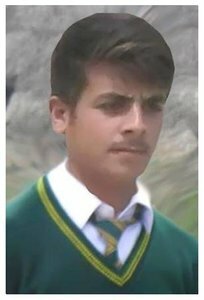 On the day of the APS attack, he demanded a new sweater and his sister assured him that his wish would be fulfilled after he returned from school. 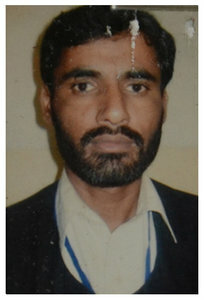 Muhammad Shafqat’s family could not be contacted for his obituary. 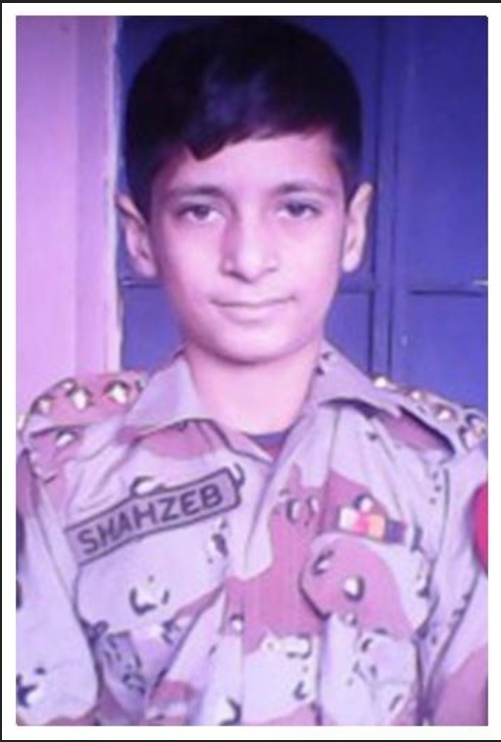 Shafqat’s teachers say he was a polite and intelligent student who aspired to become a soldier like his father. He never teased other students and was a focused and hard working young boy. Tahir has a melodious and powerful voice. He was often selected to sing national songs at school. His father says he was skilled with the computer and IT-related work. He wanted to be a software engineer when he grew up. In games he likes to play cricket and football. He was also a part of school cricket team. He was very fond of computer games. Need For Speed was his favourite. He loved to travel within the country. 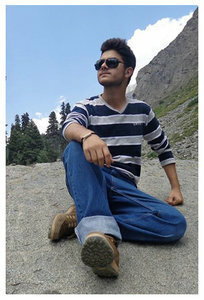 His favourite spot was Murree, where he would love to take chairlift rides. His family tries to be strong. They miss Tahir very much. 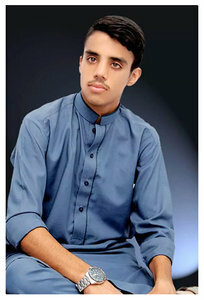 The second-born of three brothers, Uzair was a hardworking student who aspired to be a doctor. He had a beautiful voice, and was often selected to recite Quranic verses at school events. 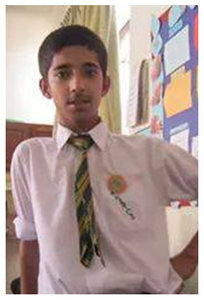 The day of the attack, Uzair did a recitation that many of his teachers and friends recall. His mother is inconsumable. She says her son did not want to go to school that day but she forced him to go. She says the guilt haunts her and that she misses her boy very much. As the eldest, Mouzzam was a responsible and obedient son. He was a hard-working and studious boy who took an active part in class activities and school events such as plays and skits. He was very close to his mother and grandmother. 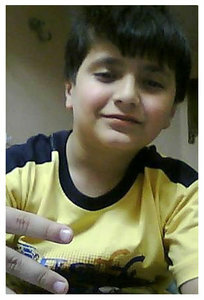 He was crazy about football and was a big fan of Ronaldo and Messi. He also loved playing computer games, with Fifa 2000 and Call of Duty being his favourites. His father says Mouzzam wanted to be an air force pilot when he grew up. He would spend hours watching videos of fighter jets and had learned all the names of the aircrafts. The JF 17 Thunder and F-16 were his favourites. His family feels his absence very much and prays for him every day. 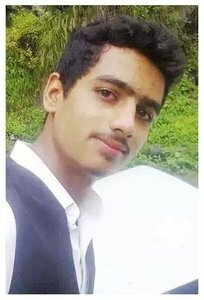 Mohammad Yaseen was a jovial boy who always lent a sympathetic ear to others. He loved helping those less fortunate than him, and often ate lunch with domestic help and gate-keepers. His parents talk about the horror they felt when he was kidnapped for ransom at age 7 for 11 days. After that horrific indent, they never let him go out alone. Mohammad Yaseen’s favourite past time was playing games on his laptop. He also created a Facebook page of himself, and asked his friends and cousins to like it, which he thought would make him famous one day. A week prior to the attack, his mother shares that Yaseen was playing a shooting game with his cousin at home, during which he acted out being shot with two bullets. She recalls being handed her son’s body on Dec 16 – he had been shot twice. 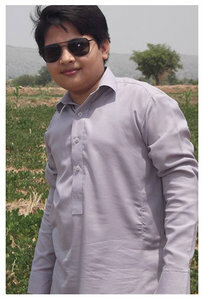 Noor Ullah Durrani was very close to his family. His sister says that when they were in the same school, he would treat his friends to snacks from the canteen and cheekily put the tab on his sister. He wanted to be doctor and was a genius with computers. 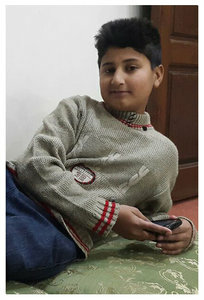 His father says Noor Ullah knew how to fix any computer glitch and was known in their colony for being a ‘computer master’. His neighbours would come to him when they needed their PCs repaired. His mother, a teacher, says she misses Noor Ullah's humour. He would often tease her by saying it would be comical if he gave her one of her own tests and she failed it. Osama’s family says he was an obedient son. He had a generous disposition, and would always ask his gatekeeper about his health and make sure he had been served meals on time. 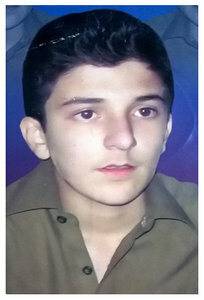 His father recalls that he was born in the Combined Military Hospital in Peshawar on a Tuesday, 15 years ago. He died in that very same hospital, on that fateful Tuesday. 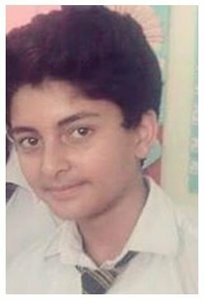 He had been asked by his parents to leave APS as its affiliation was with the federal board, and to take admission at a school that was affiliated with the Peshawar board. But Osama refused. He was happy at his school and was a good, hard working student. 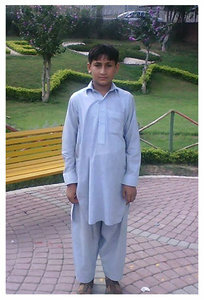 Rafique is described by his family as a polite and respectful boy. People who knew him are as moved and saddened by his passing as his family. 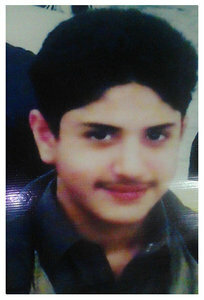 He was a religious child and often asked his father why there was extremism and sectarianism in society. He wanted people of different sects to be united. His father says his son was a sensible boy, who often handled discussions in a manner that a 40 or 50-year-old would adopt. He wanted to be a neurosurgeon. His death has left his family heartbroken. 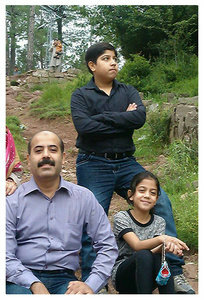 Rafique’s father says that he was the reason for their smiles and without him, life seems meaningless. 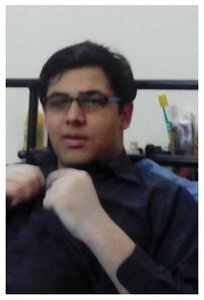 Saad loved computers. He was known as a ‘computer master’ and was popular amongst his friends for repairing faulty machines. He was very close to his father; they were like best friends. He took special care of him, and the last thing he did each night was make sure his father had a glass of water. He used to to stress that his father should take his medicine regularly. He had parrots and fish for pets and loved coming home to take care of them. His father said that his son used to care about his family members a lot. The Ali family has suffered two tragedies. Shahbaz’s father passed away a year before his son was killed in the attack. 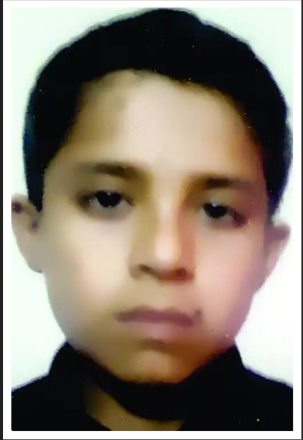 With Shahbaz and his father gone, his mother and sister have had to relocate from Peshawar back to the village. Mrs Ali says her son was an obedient and respectful boy. He was praised by his teachers and loved by his friends. He had a curious mind and enjoyed research and reading about things. His mother says she is trying to be brave and move past the tragedies in her life. 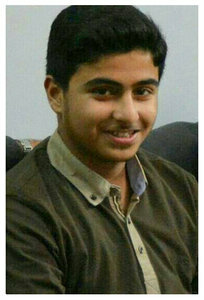 Shamowail's father describes him as a mature and responsible young boy. He was a respectful and obedient son and was nicknamed Babar Sher (lion). Whenever his siblings were disappointed in their father, Shamowail would cheer them up and make them laugh by telling jokes. The day of the attack, two bloodied Rs20 notes were recovered from his front pocket. Both notes had bullet holes in them. Shamowail's father has kept those notes with him as a memory of his son’s sacrifice. Shayan was a religious boy. He always inspired his friends and family to be regular with their prayers. His father says Shayan would tell his mother not arrange dinner before the night prayer as his father would get lazy and not offer his prayers in the mosque. He was a good cricket player, but his real passion was astronomy. Just like his elder siblings, Afaq wanted to be a doctor. He was not a very social child and preferred being home and playing on the computer. He was very close to his siblings and mother, who say Afaq was the ‘backbone’ of the family. His mother recalls that her son was very happy on December 16, 2014 before he left for school. That is how she wants to remember him His siblings say the void in their lives after the passing of their brother can never be filled. 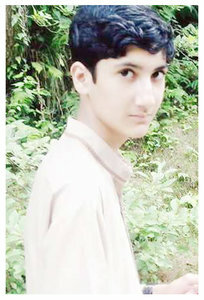 Maheer was a simple boy who was very fond of the outdoors. 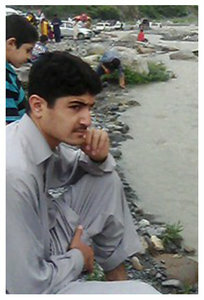 His family recalled how he did not waste any opportunity to travel out of Peshawar to be close to nature or go swimming. 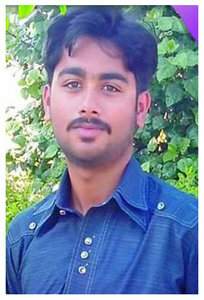 Maheer had a great interest in computer engineering and wanted to pursue it as a profession after passing out of school. To those who knew him, Mobeen was the ‘karate kid with a God-gifted, soulful voice’. 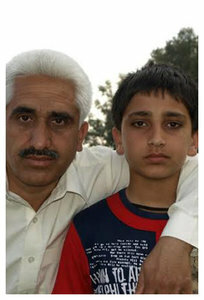 Mobeen was quite close to his father despite the latter being away from the family for 10 years. 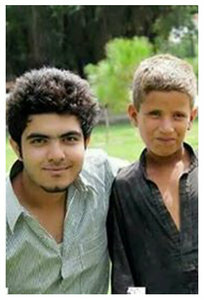 The two became close ‘friends’ after the death of Mobeen’s mother in 2013. “One day I was dropping Mobeen to school and asked him to pray that I quickly get promoted to the rank of Army Commander. He told me it was not an easy task to become a commander just like that,” Mobeen’s father recalls with a smile on his face. 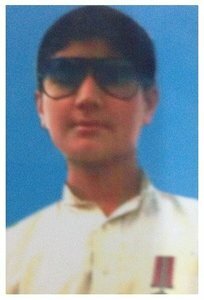 The only son of Shahab ur Rehman and Rana Gul, Mohammad Ali was jovial and a typically naughty teenager. But his carefree attitude was limited to the playground and according to the family, the 15-year-old was ‘extremely respectful’ towards his elders. Mohammad Ali was particularly fond of his horse which was gifted to him by his father. He would spend his vacations learning horseback riding. “I no longer fear my only son will get hurt in anyway,” Mohammad Ali’s stoic father said, while recalling how he would worry for his son as soon as he stepped out of the house. 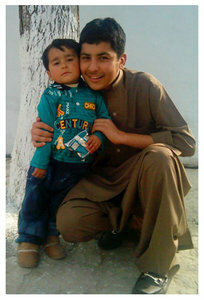 The eldest of three siblings and the only boy, Usama was very special to his parents. He aspired to be an army officer when he grew up. He was especially concerned about poor people displaced by military operations in the north and wanted to work towards their rehabilitation. He was a brilliant soccer player and often used to play with his father. They were like best friends. His father had recently bought a brand new bike for him. 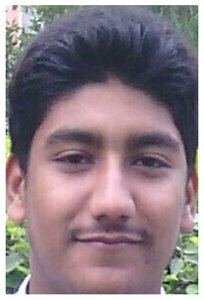 Aspiring to become a doctor, Zeeshan was a very intelligent and responsible child. Eldest among the siblings, Zeeshan was the only brother who was devoted to his sisters. Caring and jolly, he would often take his sisters on bike rides and would buy them candy. 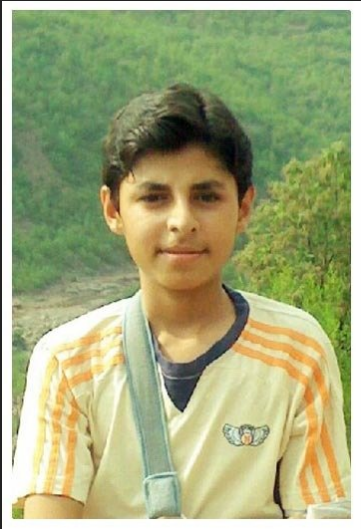 Zeeshan started studying at APS soon after his father was transferred to Peshawar. This was weeks before the massacre, and in that time, he had succeeded in becoming one of his teachers’ favourite students. He was fond of shopping and buying new clothes. 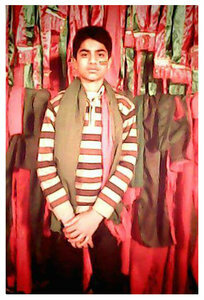 His father remembers that Zeeshan’s uncle was getting married on Dec 16 and he had wanted new clothes for the ceremony. 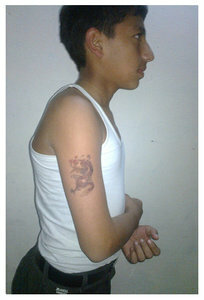 Zeeshan was supposed to go shopping with his mother after school that day. 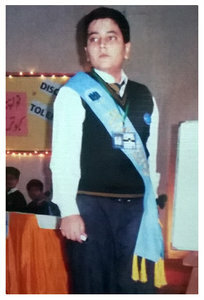 A student of the APS since 2004, Zeeshan was among the top of his class. He was also a good athlete, enjoyed playing football and would be very competitive in matches. He was fond of keeping pets, with pigeons being his favourite. His mother recalls how he kept pigeons at home and looked after them with great care. 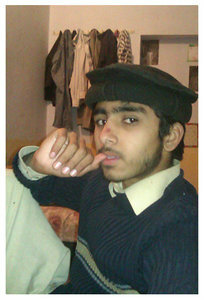 Son of a soldier, Zeeshan too aspired to join the army and serve the country. Adnan Hussain’s mother weeps as she holds up his blood-spattered shoes. He was very close to her, she says, adding that he would greet her first thing when he came home from school and wouldn’t eat his lunch or dinner without her. On the day of the attack, Adnan took his father’s new joggers, saying, “What kind of a father are you? You buy new ones for yourself and have your son wear old shoes?” He lost one of the shoes during the siege on APS. The other shoe has been locked away in a cupboard for safekeeping. 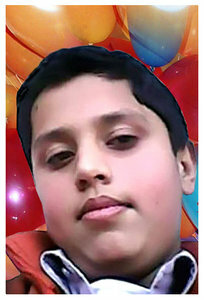 Adnan was seriously injured in the attack and passed away on the night of Dec 18 at 8:30pm. 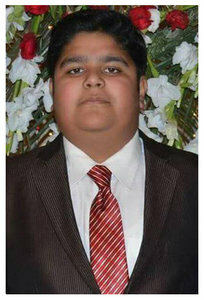 Hassan Zeb was an intelligent student with a good academic record. Hassan loved keeping pets and had three parrots at home which still live there. 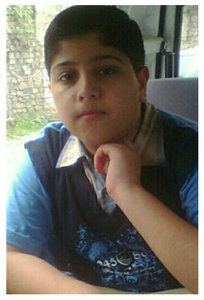 A little chubby, his mother recalls how once at a school get together when children were asked to bring their grandparents, Hassan refused to go with his grandmother. He was afraid that those at the school may make fun of him and his grandmother for being a little overweight. 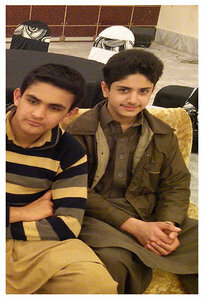 One of Hassan’s brothers, Hamza, who studies at APS, was with him at the time of the attack. 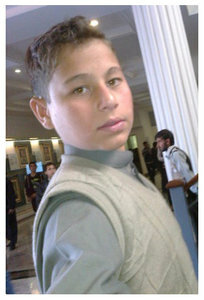 Previously a chirpy, talkative child, Hamza has been terrified since the attack and prefers to keep quiet and to himself. 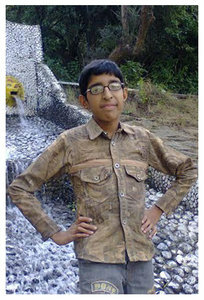 An aspiring scientist, Huzaifa liked to work on making new things. His mother says he would deliberately break his toys and then repair them by himself. 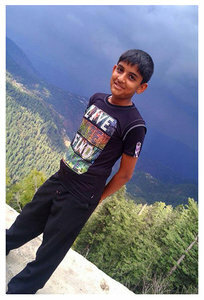 A sometimes naughty child, Huzaifa would hide his brother’s and sister’s school badges, toys and other belongings but would eventually tell them the location of the hidden items. 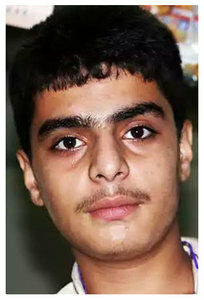 Close to his mother, Huzaifa was a considerate child and didn’t mind sharing. Having read the story of Abdul Sattar Edhi, Huzaifa had made it a habit that he wouldn’t use up all his pocket money for himself but would also help those in need. His mother tells how this habit was liked by all in the family as well as the neighbourhood. 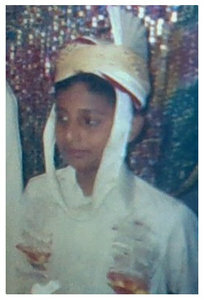 Four months before the attack, Malik participated in a skit which described an attack at the school. 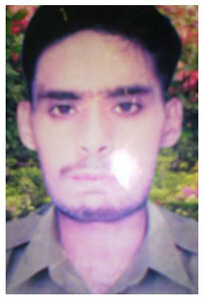 In the role of an army major, Malik was killed fighting militants. The day of the attack, his classmates say Malik died just as heroically. When he saw his principal Tahira Qazi set on fire, he leapt to save her, hoping to extinguish the flames. It was too late for both of them. The cowardly terrorists attacked him from behind, hitting him in the head. He loved his principal. 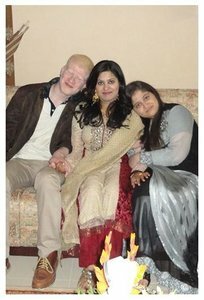 Malik was the youngest of five siblings and was loved and spoilt by them. His siblings appear to be shocked into a silence at the loss of their youngest. His mother says her heart breaks every day, and that she will never forget her son. 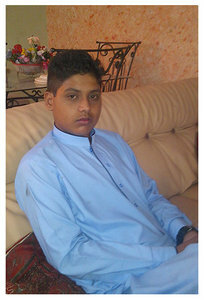 Usama was an extremely polite and loving boy who was adored by his family and friends alike. 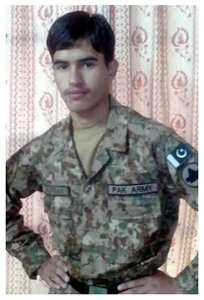 The 16-year-old aspired to join the Pakistan Army but always spoke of peace and education. 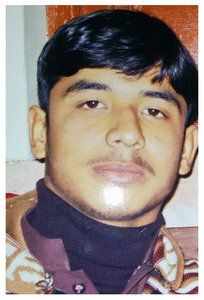 According to his father, Usama was of the belief that militancy could only be eradicated through education. 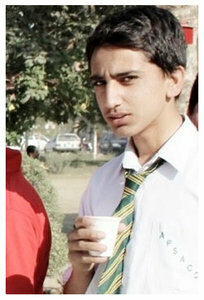 According to his mother, Usama had one weakness: chicken karhai. Mrs Awan would make sure her son was never disappointed at the dinner table. 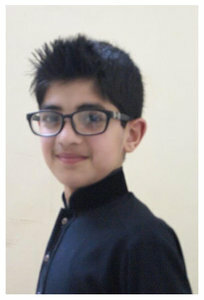 Studious and a position holder in his school, bright-eyed Mubeen was extremely well-mannered and was known to say salaam to everyone on his street. Like other children his age, he enjoyed playing sport and was very fond of football. He played the game well and even won several awards. His mother says her son was so passionate about the game that he would ask his father to help him go abroad so he could become the best football player. Mubeen also kept parrots at home which still live there. His mother says after her son’s passing, she opened the cage so the parrots could fly away but the birds stayed and still remain at Mubeen’s. Muzamil Umer and naughtiness were synonymous — so much so that he had his siblings as well as his parents despairing. His brothers, sisters and his parents were always on the alert for his tricks and antics. He used to tell his father that he would like to become a religious scholar. He was also Qari of the Holy Quran. He learned Surah Muzamil by heart a day before he was killed. Umar was an excellent student. He won several awards and certificates at school and topped his federal board exam. He wanted to become a military doctor. Umar’s parents say every waking moment without him is painful. 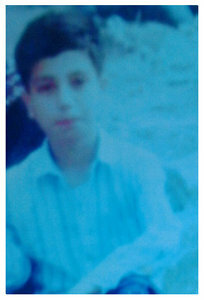 A quiet boy, Nadeem was intelligent beyond his years. Before APS, he took admission in Oswa Public School where he skipped nursery and prep to be placed in Class 1 for being exceptionally gifted. 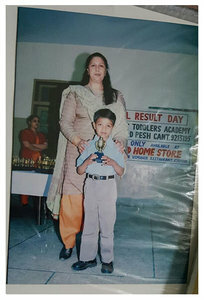 From Class 1 to 7, Nadeem remained a position holder. His father says he was among the top five students in all of APS. He aspired to become a doctor, enjoyed playing cricket and always had a meticulous appearance. Still in shock over her son’s death, Nadeem’s mother Fizza Bibi now suffers from cardiac problems. Before he went to school that day, Shah warned his sisters not to eat the sweets his uncle had gifted to him. He gave them stern looks, telling them to stay away from his masaledar gurh. His sisters are very sad he did not come home to fight for them. Shah was very close to his sisters. He was naughty and thoroughly enjoyed teasing them but would diligently do his homework under their supervision. He joined APS four months prior to the attack. Before that, he studied in Hayatabad and lived with his aunt. At that time, he used to visit his parents every 4 months. 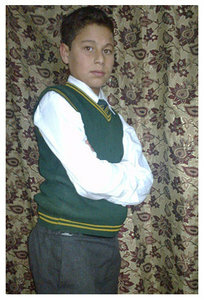 But his parents wanted to see him every day, so he got admission to the army school in Peshawar. Sher Shah loved to study Turkish and Islamic history and was a skilled member of the debating club. His favourite book was ‘Worlds Together, Worlds Apart’. While many children cannot read or write Pashto, Sher Shah excelled at it. He wanted to be a journalist when he grew up, and imagined himself as an anchor on prime time television. He was very interested in horses devoured books that contained details of the taxonomy of horses. He could tell the classification of any horse buy its structure and physique. 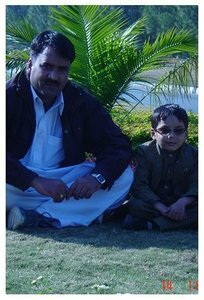 Sohail’s father says his son was a neat and clean child who wanted to grow up to be a doctor. He was close to his father, who fulfilled every request made by his son. He was not a fussy eater and was happy to eat anything that was cooked at home. He had a pet parrot that he loved very much. “Abdullah was quite a serious boy. He did not express his love for me with his words but would hug me each time he saw me,” Abdullah’s mother recalls. Ever responsible, Abdullah would give his father advice about his business, something which his mother says used to put a smile on everyone’s face. 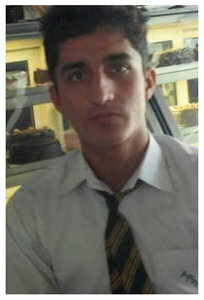 Zulqarnain joined APS just two months before the attack. His father says the college his son was attending was too far away and he wanted him to be closer to home. While considered a prankster, Zulqernain was as patriotic as one could be. 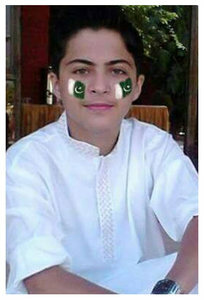 He would paint the national flag on his face on Independence Day. Like all boys his age, he loved cricket, biryani and cars. But his favourite snack was French fries. He would ask his sister to make some for him nearly every day. 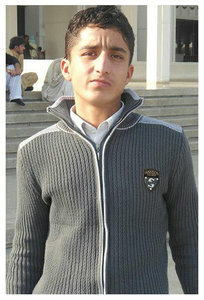 Hailing from Abbottabad district, Usman was the only child of his parents and loved dearly by them. His father describes him as an energetic, intelligent boy, who was good at his studies and could grasp complicated concepts quickly. He was fond of cricket and watched every match. He would often play in the neighbourhood or at school with his friends. He loved spicy food, especially biryani. His parents pray daily for strength and endurance after their son's loss. 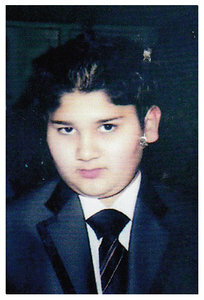 Zargham Mazhar was a serious, studious child. He enjoyed reading often reading books that were not part of his coursework to increase his knowledge. He would also recommend books to his siblings. A bright student, he would feature among the top students of his class. He was class proctor and known among his peers for his attentiveness and gumption. His father remembers how young Zargham was fond of gardening and looked after his plants and flowers every day. 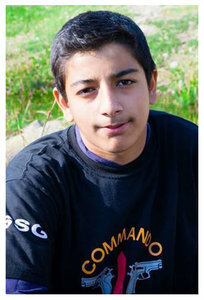 Zargham wanted to join the army and his parents used to call him “little soldier”. 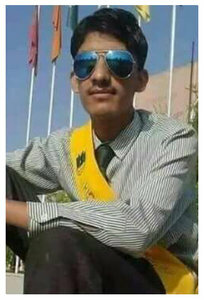 He had also cleared the test for the military college in Jhelum but died before his admission could be finalised. Hailing from Malakand, Zeeshan Ahmed enjoy playing cricket. 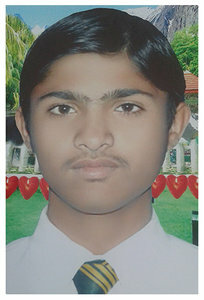 He often played matches with his brothers, and was part of his school cricket team. His favourite player was Shahid Afridi. 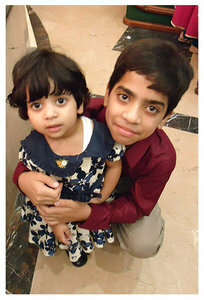 Zeeshan was very devoted to his eight-year-old sister Nimra. 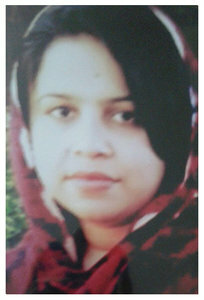 The two used to joke and gossip and Zeeshan would also help her with her studies. 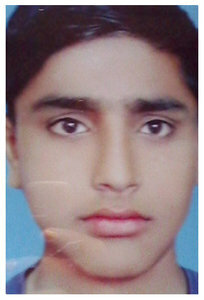 Zeeshan’s brother Awais, who was younger to him, also died in the massacre. The brothers were in the same hall and died trying to save each other. 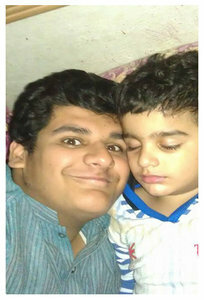 Their father remembers how Zeeshan and Awais did everything together and were the best of friends. Bilal Arshad always aspired to join the Pakistan Army as a commissioned officer. 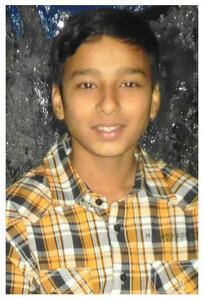 A capable athlete, he enjoyed playing volleyball and badminton and also won several laurels for both games. He was exceptionally disciplined and maintained an impeccable appearance, putting a lot of thought into the clothes he wore. Giving by nature, Bilal often convinced his father to give him money so that he could treat his less-privileged friends to a nice restaurant. On the morning of the attack, he brought home two cakes before leaving for school. He ate one and told his mother to serve the other to his father who was sleeping at that time. 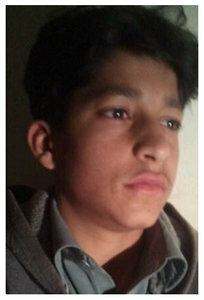 Bilal’s father woke up late that day and immediately learnt of the APS attack that also claimed his son’s life. Till date, the cake is still at home. Brother of seven, Sahiban was of a very serious disposition. He aspired to join the army as an officer and for that purpose concentrated on his studies a lot. Sometimes, he would be up at 3 am, going through his lessons and preparing for the coming day at school. Close to his mother, Sahiban would tell her how he would stand by her "in this world and the next". His father says Sahiban had a favourite spot under a tree near his house. This is where he would relax and unwind. It is now the spot where he is buried. Aimal Khan always wondered why the most hardworking people in his city used to sleep in the streets. According to his father, the young boy showed empathy beyond his years. Aimal made it to the point regularly serve meals to the poor, and during Ramazan, he would make sure all police checkposts in his area were delivered a ration for Iftar. Aimal was also known in his neighbourhood as a talented artist, and his sketches of sports cars garnered a lot of praise on the internet. He had restored several cars, and his decorative work on seats and rims earned him quite a lot of money. 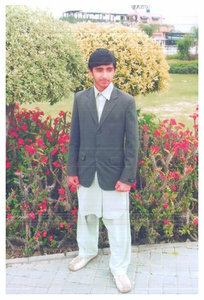 Aimal’s father proudly declared that the family had never received a complaint about their 18-year-old boy. He was their perfect child. 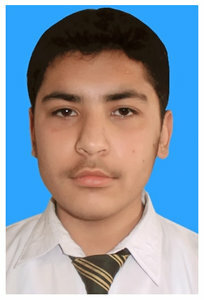 The eldest amongst his siblings, Ibrar was a hardworking student and responsible young man. His father says when his son was alive, he did not have to worry about his younger children as Ibrar looked after them like a parent. He also took great care of his mother, and would often run errands with her or take her to the hospital for check ups. He was obsessed with computer hardware and software and hoped to be an engineer when he grew up. 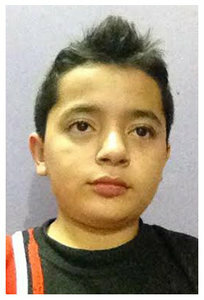 Ibrar was shot three times – in the spine, chest and leg. He fought for his life for a week after the attack, but succumbed to his injuries on December 23. His mother misses him terribly. She looks at his photographs, trophies, books, his school bag daily – and says she will never forget him. Imran Ali’s family could not be contacted for this obituary. 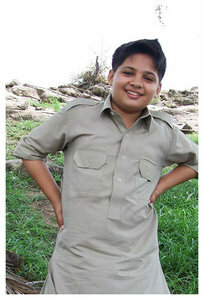 Imran’s teacher Miss Andaleep Aftab says he came from a very modest home in Kurram Agency. 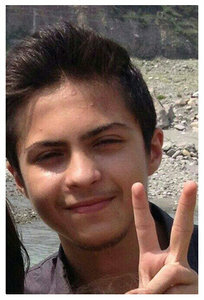 He lived away from his family, at a local hostel in Peshawar. His mother was a tailor and bore all his educational expenses. His teacher says that if he were alive, he would have pursued his dream to be a doctor, and would have made an excellent one. She also says he was eager to polish his English. Each morning, he would reach school early with a list of difficult words he wanted to know the meanings of. He was an only child. 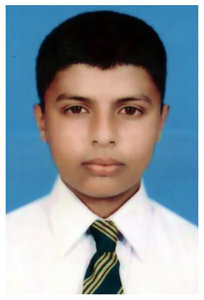 A serious child, Ishaq Amin was a devoted student and enjoyed the sciences. 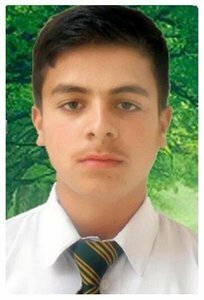 He was very close to his brother Amir Amin — an APS student who was injured during the Dec 16 attack — the two were good friends. His brothers says Ishaq enjoyed watching English movies, particularly horror films or those relating to combat and war heroes. A child still, he would ask his father to bring sacrificial animals for Eidul Azha at least a week in advance so he could get time to play with them. 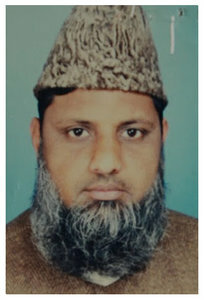 The family of Muhammad Imran could not be contacted for this obituary. 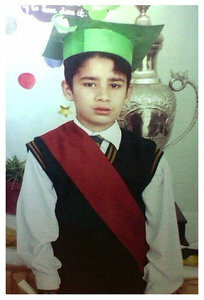 His teachers say Imran was a reserved and shy student. 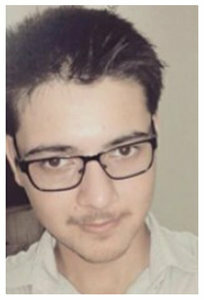 He was the favourite student of Mr. Altaf Hussain, a teacher at APS, who said he could not find any fault in him. He wanted to be an automotive engineer. His parents say he was a gift from God. He had a warm heart and loved to crack jokes. 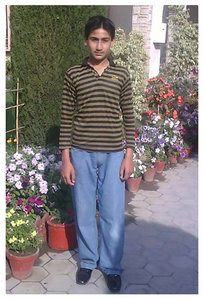 Because his house was far from school, Zeeshan lived at the hostel. 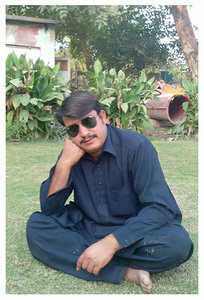 He loved to play cricket and was a good fast bowler. For this reason , he was the captain of the school cricket team. He wanted to grow up and become a military doctor. He used to say that he would serve the people affected by the military operation in FATA. According to his father he was a good speaker, writer and reader. He got many medals and certificates in many fields. English and maths were his favourite subjects. 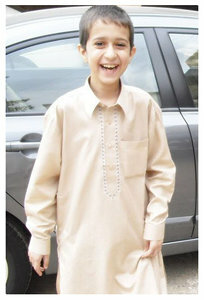 His family says that they cannot eat, let alone laugh the way they used to when Zeeshan was in their lives. They miss him terribly. Shafique wanted to be a military doctor. 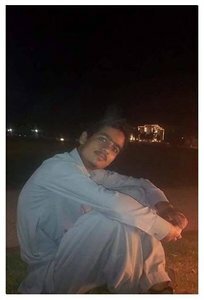 He worked day and night to attain top grades and was preparing for NUST’s medical test before he was killed in the attack. He was a generous soul. He once asked his father to pay the school fee of a classmate who could not afford to pay tuition. He loved to play cricket. 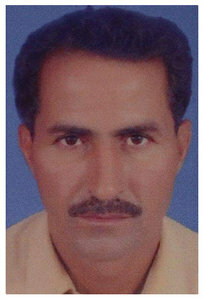 He was a fantastic bowler and batsman, which earned him a spot at Peshawar’s Qayum Complex cricket club. His family feels his loss deeply. 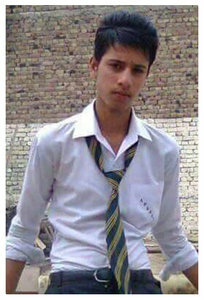 Yasir was in the school auditorium the day of the attack. When the firing started, he dropped down and lay on the floor and was safe. But when he saw that one of his best friends was shot and bleeding profusely, he picked him up and tried taking him out of the school. This is when the attackers struck. 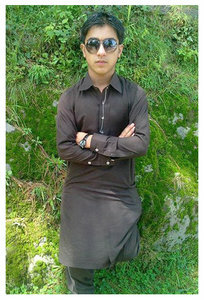 His father says Yasir was the most polite and soft-spoken out of his children. He was close to his eldest brother Nasir, who was more a best friend than a brother. He wanted to become a software engineer. Naturally, his favourite subject was computer science. His family says is difficult to live without him, they say, and every day is an emotional challenge. 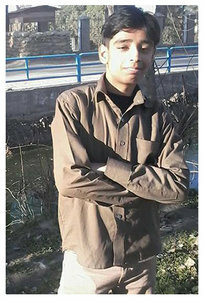 Teachers, classmates and relatives unanimously praise Maher Ali Azam for his intelligence and obedient nature. He wanted to become a doctor and serve the poor people in his village where he also aspired to open a hospital. He was president of the Urdu literary club in his school. 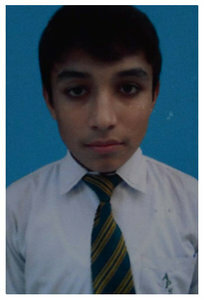 He was fond of playing cricket and was a member of the school cricket team. Close to his aunt, Robina Kauser, he enlisted her help in his studies. She says he always told her that he wanted to earn a good name for his country. The eldest of six children, Muhammad Daud had dreams of serving his nation as an army officer. Known to his youngest sibling as ‘Lala Jee’, Daud was punctual, disciplined and studious and had been appointed house captain. His father says he was a good speaker, writer and reader and had received many medals and certificates. 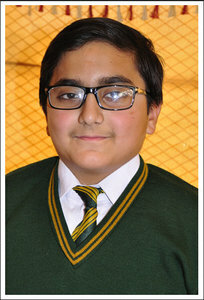 His favourite subject was Biology and he always secured over 90pc marks in the class. His father says Daud was not just a son, but also a friend. “I was very frank with him,” he says. He shares that after one of Daud's classmates mentioned his father had passed away, Daud would take extra pocket money every day to help his friend. “Our college is under attack. Firing is going on. 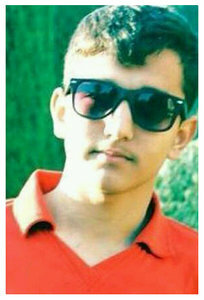 Please pray,” is the last message Saqib Ghani sent to his mother. Saqib’s cousin Asfandyar says he helped those less fortunate than him. 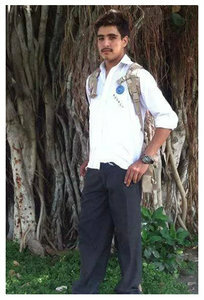 When he was promoted to Class 10, he came to know one of his classmates was unable to afford a new uniform. 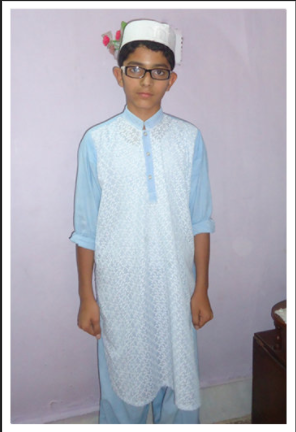 Without informing his parents, Saqib bought a new uniform and gifted it to his classmate. 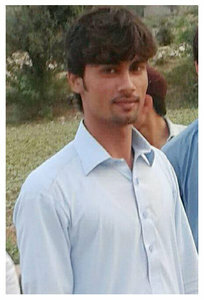 Saqib aspired to be a civil engineer. He was also inspired by his retired Army Major father, his sister Mehwish says, and desired to fight militancy as an army officer. 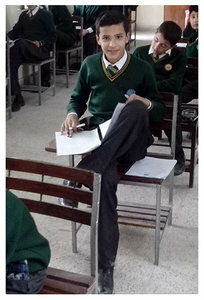 Zain was a responsible and diligent student. He stuck by his daily schedules for work and studied hard to be the best student in his class. His father says that he was killed in the very same hall where he used to make presentations for his Biology class. His family describes him as the soul of any party. His teachers would also say he was the life of the school. After his death, Zulqarnain’s family learnt of an ageing man in the neighbourhood who died when he heart of the young boy’s death. They discovered that Zulqarnain would frequently offer a lift to the elderly man when he was on his way to the mosque, and the two would pray together. Abdul was a fun-loving, naughty student. He once went to the computer lab and poured water on all the computers. Later, when an infuriated teacher asked who did it, Abdul owned up to the mischief and paid a fine for the act. He was not particularly fond of his studies. His passion was martial arts and weight-lifting, which he pursued with a fervour which earned him medals and certificates. His mother says her boy was child-like. Even at the age of 20, he would sleep in her bed like a two-year-old. He loved animals and was the proud owner of a dog. Before he passed away, he told his driver he was excited about adopting his friend’s Persian cat. Waseem Iqbal’s family could not be contacted for this obituary. 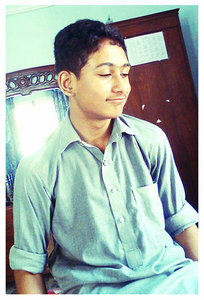 Waseem is described by his teachers as a happy go lucky student. He was an active and energetic soul who was loved by all his teachers. He was fond of playing cricket and was a good player. Sami began to work at a young age due to extreme poverty. His father suffered from cancer, and Sami set out to work when he was just a young boy to support the family and pay medical bills. His father passed away in the year 2000. He had been performing his duty at APS for eight years till the day he was killed. His mother says Sami did not enjoy his youth like other children. He had to be the man of the house. Despite the huge responsibility of an entire household on his young shoulders, Sami never lost his temper with his brothers and sisters. After his death, Sami’s family is shattered. His mother misses her son terribly, and wishes he would ask her to cook qeema. His siblings who live at home are in dire poverty as the sole breadwinner of the family is no longer there. 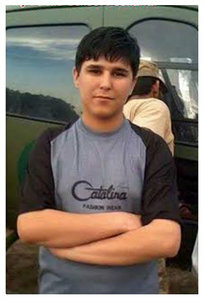 Ehsanullah joined APS just 10 days before the attack. 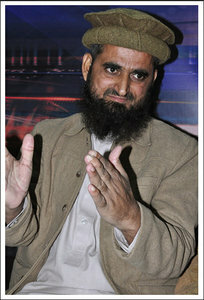 On that gruesome day, he helped shift 40 injured children into ambulances before the attackers killed him. He was the proud father of a three-year-old and a newborn. He wanted his kids to grow up and study at the same school where he was employed. He dreamt that they would be doctors. His family says he was a responsible man who took care of his loved ones. They all felt like they could count on him. He didn’t always want to be a driver. He tried to set up a small business on two occasions but had to wind up owing to losses. His children, parents and wife are in shock. They cannot accept that the centre of their world is no longer with them. 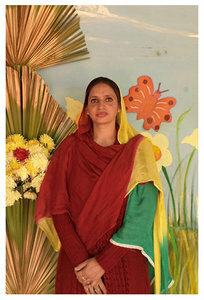 An intelligent and determined woman, Hafsa began working at the Army Public School in 2013. Her brother Anas remembers her as very kind and responsible. 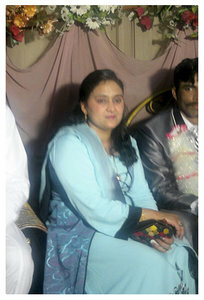 She was close to her mother and was engaged and soon to be married. Not only did she have excellent command on her subject, Hafsa’s students remember her as someone who wouldn’t leave class without clarifying her pupils’ concepts. 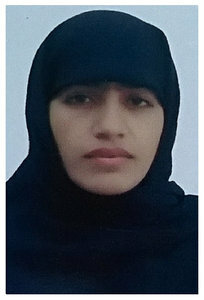 Her father, who is still shaken from Hafsa’s death, remembers how his daughter wanted to pursue a Ph.D. and was interested in an academic career. Despite having a chance to save herself and leave the premises, Hafsa chose to stay back to help injured students. It is during this time that she was shot and killed. 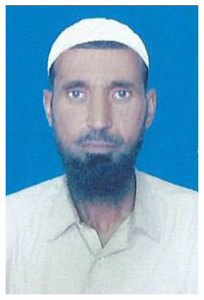 Muhammad Hussain served as gardener in the Army Public School (APS) for a period of seven years. After his passing in the Peshawar massacre, his brother Naheed Khan was offered the job that he took. 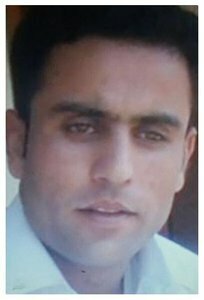 Naheed says he got to know much more about his brother from his colleagues in the APS who all found Hussain an amicable and honest fellow. Hussain was a hard working man, his brother recalls, saying how after his gardening job at the APS, he would return home and go to work as a farmer in the fields. 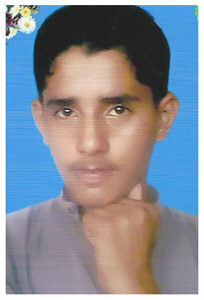 Hussain enjoyed playing cricket and was good in the game. Hussain leaves behind a widow and three children. His wife still asks why her husband was killed and his father appears broken at the death of his young son. 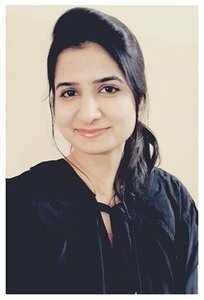 An English teacher at the Army Public school for five months, Sadia had completed a Masters in English and a Bachelors in Education at the University of Peshawar. Her father, who is also a professor, was her mentor. She would always consult him before making any big decisions. She was a jovial, fun loving person. Her friends say she loved to hang out with them and talk. They would meet up daily and go for a walk together. Her students say she was a wonderful teacher and that her command over the English language was impressive. Her family says they are broken after her passing. They miss Sadia terribly. A native of Swat valley, Mudassar had a Diploma in Clinical Pathology and a Masters in Pashto from the University of Peshawar. He was passionate about Pashto poetry and often penned romantic couplets which he would share on social media. He was the eldest amongst his siblings and the sole bread winner of his family. For this reason, he had left his village to work. He got engaged 15 days before he was killed. His uncle describes him as a respectful and responsible member of the family, who never hurt a soul. His family is broken by his death and misses him dearly. A chemistry teacher at APS, Hajra Sharif had the knack of controlling a class effectively, and was very well-rounded in her subject, her colleagues say. She was helpful and polite to work with, and proved her mettle in a very short time. Her students share that even though chemistry was a dull and boring subject, they thoroughly enjoyed her lectures and never bunked her classes. 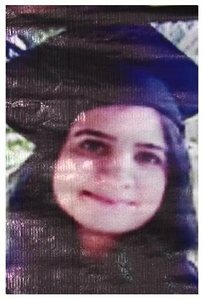 According to Hajra’s siblings, she emphasised a great deal on women’s education, and her aim was to open a girls’ school in Karak. 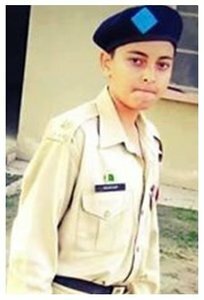 Her brother says that she was his mentor and it was as per her wish that he joined APS. A loving wife and a caring mother, teaching was Benish’s mission in life. Her husband Umer recalls that it was Benish’s tenacity that helped the family maintain discipline. He remembers Benish preparing breakfast, helping him out with work clothes and then leaving for school on the day of the massacre. A kind woman, after her family, Benish gave the most amount of time to her students and treated them like her own children. She also felt strongly about girls’ education and used to say that educating women was critical for the country’s prosperity. Her husband recalls that Benish had the chance to get out safely during the attack but chose to stay back so she could administer first aid to the injured students. This is when she was shot. Bilal and his wife were expecting their second child when he was killed. His wife has named her newborn Hanan, because her husband loved that name. He was attacked by the terrorists when they saw him helping children escape from a back exit. He was a loving father. He wanted the best for his son Abbas, and dreamt that he would become a doctor some day. 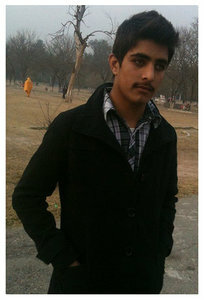 He was a good sportsman and regularly played cricket with the APS students. He was strong, and was able to hit long sixes. His wife and parents miss their beloved Bilal. His youngest will never know her father. Sahar was helping evacuate students when the attackers targeted her. 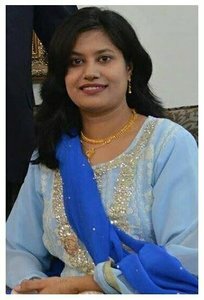 She joined APS in 2006 as an Urdu teacher. 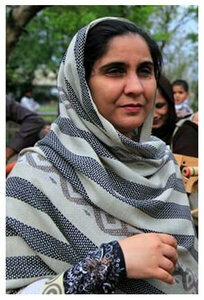 She had completed a Masters in Urdu from the University of Peshawar and was also pursuing MPhil. As a result of her commitment and hard work, she was promoted to the senior section shortly after she joined. She was a role model for her family. Her siblings aspired to be disciplined like her. Her colleagues still cannot believe that she is gone. Her beautiful smiling face and pleasant voice echoes in their ears. She loved to get friends together for delicious food and gupshup. Her students say she was soft spoken and helpful and that she had a passion for her subject. 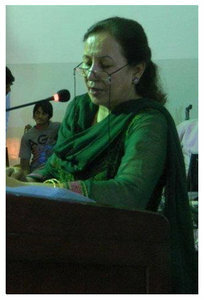 She often arranged Urdu debating competitions and coached the students. There’s a palpable void in Farhat Bibi’s newly constructed house. Widowed husband Abid Ali Shah and sons Baqir and Sitwat are still numb with grief as they recall memories of the cast-iron superwoman in their lives. 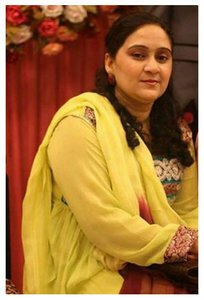 She held the position of Urdu teacher at APS for three years until her death. Her prolific academic qualifications included an MA in Arabic, MA in Islamiat, an M.Ed and a B.Ed. She was also a Hafiz-e-Quran. As a social worker, Bibi was committed to helping poor and needy people. 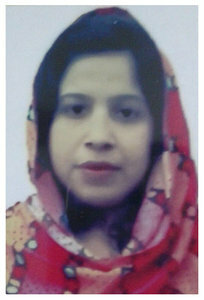 Her sister, Abida Bibi, remembers her as someone completely devoted to her family. Farhat was an experimental cook and enjoyed making new dishes for her husband and sons. She was fond of tours and picnics and often organized outings for the family. 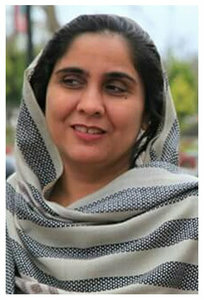 Saima Zareen had been teaching English at the APS for 17 years. She had completed her M.Phil in Education and was pursuing a Ph.D in Education. She was the mother of two girls aged 20 and 13. She loved to teach and learn. She would return from school every day at 3pm, eat her lunch and head to her university to study till 7pm. She would then come home and prepare dinner for the family. Her students describe her as soft spoken and kind, while enforcing discipline at the same time. 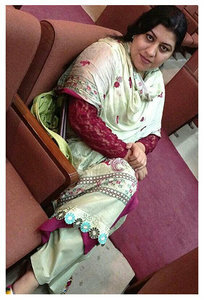 The day of the attack, Saima rushed into the auditorium to save injured students. As she made her way in and out of the room, she was apprehended by one attacker. She was shot dead and her body set on fire. Her husband vows to continue her dream, to teach. He misses her terribly. 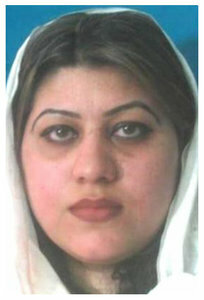 “Akbar was a very pleasant man,” says his widow, Bibi Rabia. He had a soft disposition and would always advise his sons to avoid disputes. 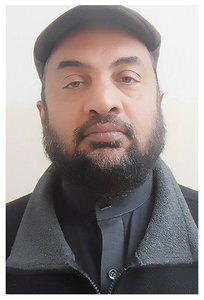 Akbar had joined the Pakistan Army’s Electrical & Mechanical Engineering dept in 1983 as a clerk and moved to Army Public School after retiring in 2006. He was admired by his entire village and even now he is fondly remembered. Akbar had made it a point to bring back gifts from Peshawar for all the kids in the family when he would visit native Lakki Marwat for holidays. He was as a highly-dedicated employee who gave his life while performing his duty. Zahir Shah began working at APS a year before the massacre. He served the school devotedly and would advise students to study hard whenever he interacted with them. His nephew Shafqat says Zahir had studied up to F.A. but couldn’t carry on due to financial problems. Zahir got married nearly 12 years ago and didn’t have any children but loved his nephews and nieces as if his own. 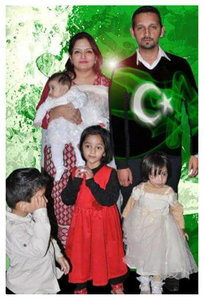 He was particularly close to his 4-year-old nephew Waqas and would look after him as his own child. Although Zahir didn’t earn much, he was always mindful of the needs of his family and always tried to get other, better jobs. His nephew remembers him as a soft-spoken man with a kind heart. 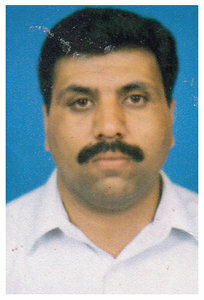 Shafiq was the head clerk at APS since 1996. He was jokingly called the ‘pioneer employee’ of the school. 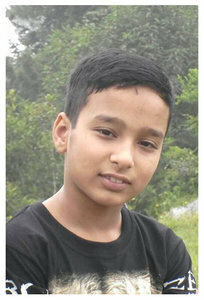 His brother says Shafiq was an honest and hard working member of the school staff. He loved and cared for the students with all his heart. He longed for his children to have a good education. 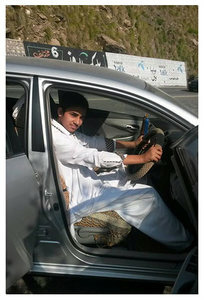 After school, he would drive a taxi to earn extra money to support his family. Two of his children are now studying at APS. 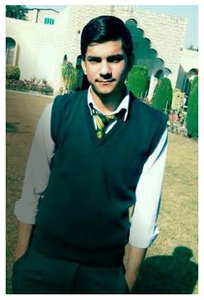 The day of the attack, Shafiq was busy evacuating terrified students when he was gunned down. He had made his third trip back into the school during the rescue operation when he was struck. 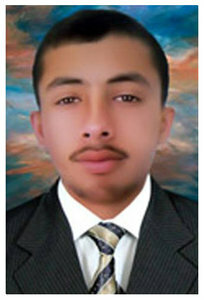 Son of Fazal Rabani and Husn Zaiba. Nawab was a self-made man. When he was a student, he would work after school to earn money for his school fees. 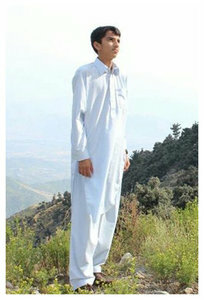 He was a math genius, and was popular in his hometown Charsadda for his math skills. He joined APS as a math teacher in 2000. His wife says he was a wonderful husband and also a loving and responsible father. His daughter Ayesha says he used to take joy in celebrating her birthday and get her dolls. She says he had a ‘smiling face’. His colleagues, too, remember him fondly and recall the many instances when he would treat them to shola chawal – a Charsadda specialty. 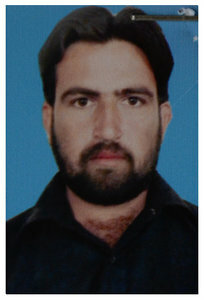 Sajjad Ali served at the APS for 10 years. His nephew Mudasser tells how the staff at the school as well as Sajjad’s relatives admired him. An amicable man, Mudasser recalls how Sajjad was regarded as a peace maker by members of the family and would resolve any conflicts that would develop among his relatives. Sajjad’s colleague Imran remembers him as a diligent man, saying it was due to his hard work that the regional coordinating office was declared the best in the country. 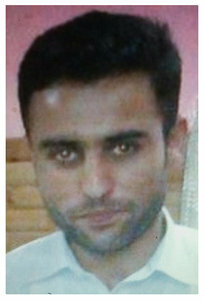 Sajjad leaves behind a widow and two sons. 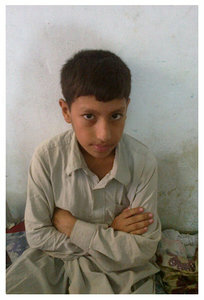 His older son Faizan, who is 10 years of age, misses his father terribly. 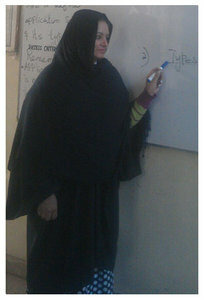 Teaching at APS since 1994, Shahnaz was a dedicated teacher whose death has left many a colleague and students mourning. Regarded as an inspiring teacher, Shahnaz was also a loving wife and a devoted mother who managed family life just as well. Shahnaz put great emphasis on education and the studies of her own children. She wanted them to become doctors like their father. 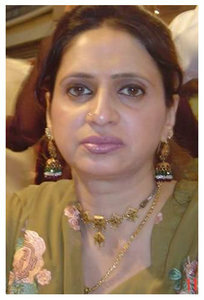 Her husband Naeem remembers her as a simple and loving woman who loved arranging family get-togethers. Her colleagues say she considered them and her students as family. She took care of everyone. Remembered by her daughters as their best friend, Sofia Hijab was a devoted mother and a hard-working teacher. She started teaching at APS as a junior teacher barely two years ago but her hard work led to promotion as a senior in a short span of time. Kind to her students, Sofia is remembered as soft-spoken but uncompromising when it came to academics. Her husband says she was present in the auditorium during the attack but had managed to exit safely. But that is when she decided to go back for her students. She pulled out many of those injured before the attackers killed her. Pervaiz worked at APS as a lab assistant for 20 years. He was utterly devoted to the school, and students remember him as honest and dedicated. According to his children he was a soft hearted father. Despite his limited salary he fulfilled all their demands. He always hoped his kids would get quality education and earn a name for Pakistan. He had a good command of Pashto, Punjabi and Urdu. He also recited the Quran and taught Islamic principles to whoever was willing to listen. 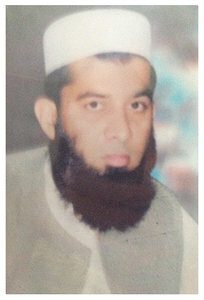 Saeed had been teaching Islamiat at APS for nine years. Holding an MA, he is described by students as a good teacher who was soft-spoken and kind. He was an advocate of women’s education. Many of his past students went on to serve in the army. When the army launched an operation in Swat, Saeed invited three displaced people into his home and gave them food and shelter for three months. When the attackers struck, he advised students to stay calm and helped them. His parents, wife and five children miss him dearly and pray for him to rest in eternal peace. 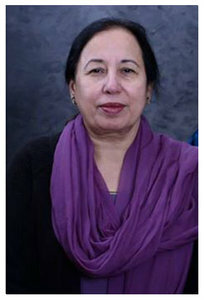 Tahira Qazi joined the Army Public School in 1995 as head of English Department and in 2006 she took charge as the principal of the school. 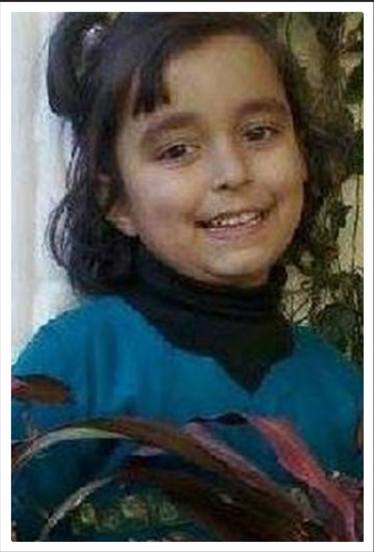 The day of the attack was his 6-year-old daughter Khaula’s first day at school. Altaf Hussain had been teaching English at APS for 15 years. The day of the attack was his 6-year-old daughter Khaula’s first day at school. They were completing her admission form when the firing started. He handed his daughter over to another teacher. Both were killed soon after. Meanwhile, Hussain ran outside and confronted three armed men. He pointed to his beard and said, “Look at this. Don’t fire at me and my children.” The assailants responded with bullets and left him there to die. Despite eight bullets in his body that rendered him immobile, Hussain managed to drag himself inside a room and lock the door behind him. Army personnel showed up a few hours later; he was finally rescued only to be informed that his daughter had been killed. Hussain rejoined APS in May and teaches a different class now. His stamina has suffered greatly, and going to the school is an ordeal for him. But he feels it is necessary to be courageous and show up for the students. 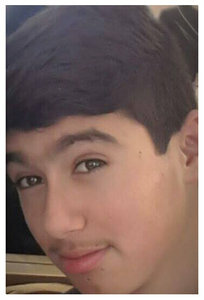 "Our teachers told us to lie down on the floor...among the rain of bullets, Allah almighty kept me safe, but I lost my brother"
For two hours Ahmed and his friends hid inside their classroom, and shielded themselves from the heavy firing outside. News arrived that Ahmed’s brother had been seriously injured. Ahmed says the feeling of helplessness sent him into shock. “My brother was not just my brother, he was my best friend,” Ahmed says. Outside the school, his father was waiting for the two brothers to exit safely, but only one made it. 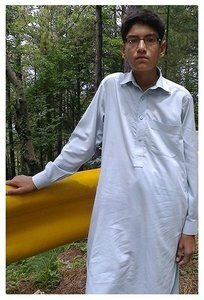 A month later, Ahmed returned to APS and wanted to leave. The visuals of blood, bodies and injured people haunted him. But he was not willing to give up on his dream to become an engineer, and is slowly re-adjusting to normal life while seeking psychological help for trauma. When Amir Amin first heard gunshots, he thought it was a routine exercise outside the school. Within the next few seconds, the firing was followed by sounds of children screaming and crying. Amir rushed outside only to be met with a terrible sight: armed men were firing indiscriminately at students, many of whom were his friends. Amir found a place to hide in the computer lab, but couldn’t escape the bullets. One hit his leg, and he waited in pain until police officers rescued him. 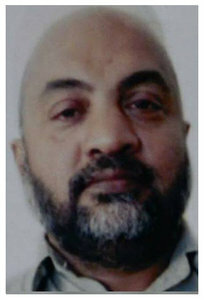 His brother, Ishaq Amin, was killed during the attack. “I’ve lost a flower-like son,” says their mother, who fears for Amir and her remaining children’s lives. After the third class of the day, Kashan Zaheer and his friends made their way to the auditorium for a lecture on first aid. A few minutes later, the back door burst open and bullets flew in all directions. Kashan realised it was a real attack, and lay down under a chair seeking cover. “[But] the militants fired at the rows of chair under which we were hiding. I saw several of my friends get killed or injured,” he says. Kashan received a bullet in his leg while running out of the auditorium. He was moved to a private hospital for treatment soon after, but requires additional operations to heal completely. But his mental health continues to suffer. Kashan’s mother says he cannot concentrate and study like he used to, and occasionally erupts in anger over small, petty issues. He often tells her he wishes he had been “martyred” with his friends. Maaz Irfan was in the auditorium with Kashan, waiting for the first aid lecture to start. He received three bullets in his arm seconds after the militants stormed inside. Once the militants left, Maaz limped over to his classroom, where a younger boy wrapped his muffler around his arm as a bandage. They waited in the room for two hours and placed cupboards by the door to block anyone from coming in. Maaz’s treatment costs more than the family can afford. According to his family, the government has provided Rs 1.5 million, while treatment costs have exceeded Rs 3 million. If they do not get him help soon, he could lose his hand permanently. 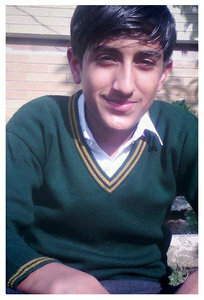 Malik had just settled down in the school’s auditorium when the firing started. Realizing it wasn’t an ordinary drill, Malik ran towards the door with his friends. Two of them fell on the way, and three others tried to escape but were killed. A bullet hit Malik’s cap but he somehow managed to reach the main gate safely. He immediately hailed a rickshaw and rushed home. Malik says he has recovered mentally, but he is unable to forget the day and his friends. 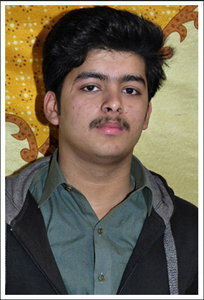 His brother, Usama Tariq, was also killed in the attack. When he hears the sound of firing now, he grows frightened. “I have lost nine friends. I cannot study without pain in my head,” he says. 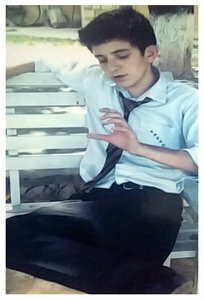 While the ambush went on outside, Murtajiz and his classmates gathered inside their classroom and shut themselves in. He thought it was a regular drill for senior students, but soon realised it was real firing. For two hours, he had to stay quietly inside with his friends and bear the terrible sounds coming from outside. The firing didn’t cease. “I lost my hearing for some time,” he says. Murtajiz remembers the army personnel showing up hours after, and being rushed to the hospital where everything was covered with blood, dead bodies scattered around. He has resumed his schooling now, and wants to join the Pakistan Army to fight terrorists when he grows up. 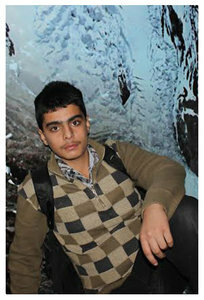 "I will continue my studies and become an engineer"
Obaid was in the auditorium when the firing began. It started like a drill, but the hall’s back door broke and armed men entered the room. “All we wanted to do was escape,” he says. 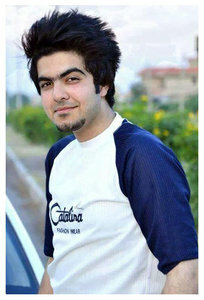 Obaid frantically made his way towards the other door and was shot four times – twice in each arm. He fell by the gate and once the attackers moved out, ran to the library to hide. He waited for two hours, unable to help himself or his injured friends. 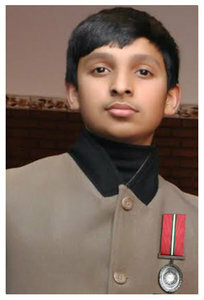 When firing started in the auditorium, Syed Ahsan Ali and his friends – like other students – thought it was a routine drill. “We were laughing about it, thinking they must be rubber bullets,” he says. As students began falling, Ahsan and his friends sought cover under the chairs. Several of his friends, were killed right there. Once the militants cleared out, teachers gathered the students to rush outside. 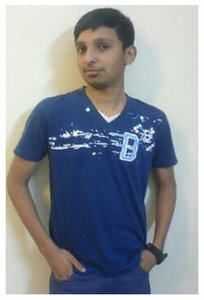 Ahsan ran to the door, but when one of his friends fell while running, he felt too scared to move. Returning to school wasn’t easy since he had no friends left. But the incident brought in him a renewed love for studying; now all he wants to do is become an officer and serve the country. Excellent effort to remember those innocent souls, One should never forget 16 December. This has moved me to tears. Will these senseless killings ever stop? Rest in peace, little stars. We Must Not Forget Nor Forgive the Perpetrators. I hope Pakistan Army brings them to justice, for the sake of the nation. RIP ONCE AGAIN THAT PAST MEMORIES. Those little ones must be having fun in the heavens above. My heart aches. Cannot stop crying whenever I think of this. Just wanted to offer my condolences to the mothers. Atlast had the privilege of meeting one of the surviving injured student, his mother (who had also lost the other son) and another mother whose son was no more! These injured students with their parents were in Karachi earlier this year for treatment. Sadly enough, the most painful goodbyes are the ones that are left unsaid and never explained! Khaula Bibi you made me cry! NO WORDS, ITS MOVED ME TO TEARS. Love you all.................... will always miss you..
we can never forget these kids. Fantastic job by the whole team at Dawn who made this project happen. Our country's best newspaper keeping our stories relevant and reminding us of why it's important to remember the Peshwar attacks forever - our kids. Excellent job by DAWN.COM as usual. Salam to the team especially reporters who work hard day and night to collect the materials. A very good information for the affected families and and those who love and want to get information in detail with pictures regarding each and every martyred. This will never be forgotten. Tears rolling down my eyes. Thanks DAWN for remembering these innocent victims of evil. We will never forget you young kids. It is now our responsibility to observe anniversary of your sacrifice every year and remember you and pain of your families that changed this nation forever. By the way, is our government doing something to construct a monument and name important places, schools, colleges and dams after the martyrs of APS? I guess not. They are only concerned in making as much money as possible. Best article i ever seen in Dawn, Actually there are tears in my eyes. Keep it up.. I can't imagine someone hurting children. They can only be barbarians. How can they do something so heinous in the name of God? REVENGE,, REVENGE AND ONLY REVENGE and to teach these monster a lesson they will not forget even in Hell. These words r my own. My heart bleeds for them.Great tribute by Dawn. Thank you Dawn to keep there memories alive in our memory. Was not expecting anyone to make a tribute before 16th of December but this move really make me at pause that dawn is not about journalism and all that but actually "this is Pakistan." This is one of the biggest event gone unnoticed on international platform. Where were, facebook, Obama's statement that "We are all Pakistanis today", world leaders actual solidarity and not just condemning the act by simply tweeting (shrugging off), international news agencies? I live not too far from Paksitan and no one even knows of this event? Why did it go so unnoticed as if it didn't matter at all? The loss of so many young, innocent lives is heart breaking. The pain of the parents, living with this void, is beyond imagination. May the Lord have mercy on us all. Dawn , once again you made me cry .Well done .I love to be with these pictures for the rest of my life. @APS Martyrs We Will Never Forget You Dont talk about government , they can sympathise with Paris victims or anywhere where their investment is , but they will never invest on our own people.There priorities are different , so dont expect anything from them. let GOD deal with them. Still the wounds of APS fresh for the loved ones.Surely the smallest coffins are the heaviest. Good work DAWN. As the founding member of this prestigious institution i and many of my friend had the opportunity to be the student of Mrs. Tahri Qazi (Late). Our days spent in this sprawling institution learning during our carefree days are still a source of joy. Over coming feelings of anger, grief & absolute incapacity of being unable to do anything to make a difference has had an emotional impact. I pray for the bereaved families & hope that such an incidence never occurs again, here or anywhere else in the world. Sanctity of certain institutions must be held, even during war. The Barbaric act of terrorist and a catastrohe was a shame to Humanity as a grusome act of violence which no one would ever think. However, the courage of our childreen and the innocense will always be in lightend and we convey SALAM to them and to the beloved ones who were martyred. I am from South India, and strongly condemn this cowardly attack. My soul goes to the children who died. This is the black day of pakistan's history. May their soul rest in peace. We, all Indian, stand and unite with you. The best piece I could ever see on Dawn. You guys deserve a commendation. This left me in tears and sobs. Double Thumbs Up to Dawn , Project director and all the members who made this project. The line that states "We will mourn for 3 days and then forget our own 9/11" is heart wrenching. Let it not happen. This incident has given our nation a new life, a dare to stand united and fight against terrorism. Salute to all martyred of APS and their families. Pakistan as a nation as a country owe every drop of your blood and will never ever forget you. The worst moment of my life...........Can not forget this. Crying my heart out. Dawn and the Project Team you people have done a commendable Job. Keep it up. Thankyou to Production team, to remind us the "THE BLACK DAY" of Pakistani history. Sorry admin for all the tears. 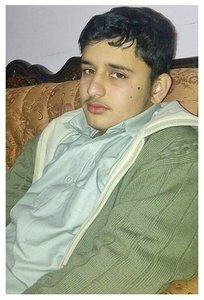 "Imran Ali, age 18 , class 2nd year, NO PICTURE, only child, modest family from kurram, mother a tailor who used to bear his educational fee"
My blood boils knowing those foreign intelligence agencies operatives who planned and financed this biggest act of terrorism in human history are still alive, yet our government cant even name them, let alone skin them alive. This bought tears to my eyes. Stay strong!!! Thanks for reminding. We still have long way to go to protect our children. I will never forget ... Rest In Heaven precious angels !!! Oh dawn, you just made me remember every event again. We will never forget this. Oh dawn, you just made me remember every event again. We will never forget this. And One day we will defeat these animals. May God continue to give strength to the families that so suddenly and terribly lost their beloved ones. Impressive work of DAWN to remind our sleeping nation about the sacrifice made by our brave children at that day. Literally crying right now. Thank you dawn news. These heroes are never forgotten and will always be remembered. One year past, but the deep sadness remains. Please fix the root cause of this problem. Please do not let the sacrifices of these innocent lives go in vain. One of the saddest days in Pakistan's history. This incident highlights how insider enmity and ill-will could be the worst deadly weapon. I wish these young lives didn't have to leave like that. This blow was largely contributed by lack of justice in Pakistani society as the hijackers could hijack the entire country by targeting the most innocent lives of our nation. Never forget this massacre, this dark in Pakistan's history! Never forget the blood of these kids. We need to wake up now as a nation. We must be ONE, United, no shia, no sunni, no ahmadi, no gadiyani, no christian, no hindu, no sikh, no mohajir, no punjabi, one UNITED PAKISTANI!!!! for God Sake, One United PAKISTANI !!! As December began today it dawned upon me that within two weeks it will be a year. We won't even forget this day in 144 years. Dear Dawn, Your tribute has paid respect to the brave little Shuhada and the brave men (our soldiers) who encountered them and encounter these animals on a daily basis. "There is no such thing as someone else's children"
@amal_team thanks you for this reminder to the Pakistani Nation to wake up and stand up against extremists. Detailed and comprehensive stories of the innocents. Really a great effort by Ali Akbar sab, Hakeem bhai and Hassan. One should never forget this black day in the history of Pakistan. Thank you Dawn, Hope it remain my worst and sad day of life. !!! Long live Pakistan with Brave nation! well done ..DawnNews Repoter: Hassan jahangeri and Abdul Hakeem mohmmand. My tears have dried, I feel ashamed to condole and remember their deaths because the loss is so immense that doing so only seems disservice to the sacred memoirs of those who are no more. On this occasion we should also remember those injured in such a brutal and bestial attack on humanity. Time has come for the whole nation to stop dithering on the issue of terrorism and take a firm stand to confront this menace that imperil the future of our nation. Also we should stop running with the hare and hunting with the hound if we want to weed out this cancer and its vestiges from our society. DAWN you have pioneered an unique way of remembering and paying homage to our children who were made to leave us without any reason. They were innocent. My tears have not dried up as yet. May God place those children in the Darbar of the Holy Prophet (s.a.), his Aal, and the Shuhadae Karbala ! May God bless also DAWN !! Wonderful efforts by ali akhbar and his team.. They are looking like princes of Paradise, flowers of a Garden, twinkling stars shining on the Sky....... Angels. Never forget. I've cried again for the first time since 16th Dec 2014. May their souls rest in peace! Thank you dawn for such a beautiful tribute! We (Pakistani's) are Dead! Yes, we are dead because they (Killers) are still alive. Thanks for doing this, Dawn. It's heartbreaking, but we need to keep reminding ourselves of this. Sadly True, Had nation thought about 5,000 prior murders by Terrorists in Pakistan, 350 doctors alone in Karachi just on the name of religion , we would'be been able to save these children. Unfortunately. we are still not aiming the true causes behind these terrorists, their financiers and their ideological aides and for that our nation will continue to suffer. Thank you for the well-deserving tribute, Dawn! Rest in peace, little heroes! Thank you Dawn for making these albums. These are all heroes of our nation and how a nation can fail when such brave child had sacrificed their lives for it. May God bless them. darkest day in the history of Pakistan. This is the darkest day in the history of Pakistan. We all will remember them in ever walk of life.. The 16th December, 2014 is the saddest day in the history of Pakistan.... the day when innocent children's lives were snatched by a group of cruel individuals who plucked the flowers that God had planted in our midst. Just about a year since it took place, "Dawn" has reminded us of this tragedy. But it makes me ever so sad to read the text and see the pictures of the innocents who paid the price for peace, harmony and comfort which we now enjoy. May their souls rest in peace. Let us join in prayer for the parents of the children who mourn their loss, and for those who make peace possible in our country. It is amazing and commendable job done by the whole team of Dawn.com. It is also a tribute to those who lost their lives in the APS tragedy and solace for the bereaved families ahead of first anniversary of the catastrophe on Dec 16. We should never forget or forgive this evil and inhuman act. Couldnt control my tears while at work.. May the killers and their masters rot in the pit of hell. My heart bleeds for the parents who lost their loved ones, how far have we come of stemming terrorism and intolerance still remains a question that we all need to answer? Have we used the tools that have been provided, do we have the resolve in us to curb the ring leaders of these hate groups? This is a war that need to fought from top down, cut of the head of the snake the body will die, do we really have the will for justice to prevail? Thanks to the team for their effort in keeping it alive in Pakistan's heart. DAWN has set new highs of journalism with 144Stories. Thank you for recreating those memories. We will never forget these flowers. Down with extremists apologists. Wounds are still raw. Eyes are still moist. We will never forget the sacrifice they made. They did not have to. We will never forget. This is wonderful Dawn. They will never be forgotten. Till today, it brings lots of tears for the indiscriminate act on these innocent people. Perfect Dawn! This article is the perfect thing I have ever read. Perfectly written perfectly displayed...awesome!! Worth a million shares! 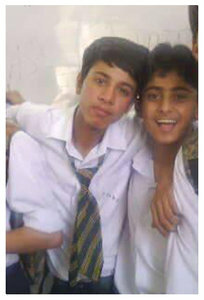 very very sad to see these young bravehearts had to leave the world like that,, Stop terrorism! God bless them all. Its very emotional of course but those who are no longer with us are not dead they are martyrs and live for ever. The culprit with associate of this heinous crime are zombie who have no respect for life or any religion. It was a tough read. My God bless them and their families. This is a fantastic project for paying homage to those who were deprived of their dreams. You and your team brought life to these departed souls. Hats off! Excellent Article. Cannot believe it has been One Year. Cannot read a word without tears trickling down. Black Day in the history of Pakistan. For us these are 144 stories but for some it was their whole life. Rest in peace our little angels. Great journalistic work Dawn. This should never be forgotten. Blood of innocents have given lifeline to nation. Nation should break those hands who did this and break those hands (inside and outside) who supported it. It breaks my heart and bring tears to my eyes. No one can put away the pain the families are going through. Great Job Dawn.com, Bull's eye. You made the statement that 'media is not all about ratings' . I remember that day........I can still sense the trauma ......The good thing was that whole nation was traumatized...I sensed it........in the streets .......in hotels..... Whenever I recall that ........I couldn't hold the tears in my eyes..
can you please tell me how I can donate. I really want to help. Thank you. Wonderful piece of work. Thank u for keeping the memories alive. No words, Just tears dripping off my face! If I were able to order angels, I'd send them to save these lives miraculously. This has moved me to tears.. prayers for the families. Tears and more tears. Great work DAWN,this why we respect it as best newspaper. Excellent execution in expression of tragedy without going over board. I would love to start a fund to get a printable version of 144 stories in Urdu and distribute it complementary with all right wing newspapers. "Shayed ke unke dil mein utar jaye meri baat"
I have tried reading this three times just to appreciate the journalitic beauty of this. I could not read it.truly the saddist thing my generation has seen. Its very hard to finish reading about all these kids. Every time I try, my heart is so heavy and eyes are numb. I just can't stop crying while seeing these faces. Thank you. WE WILL NEVER FORGET! WE NEED TO KEEP THIS ALIVE! Is there anyway we can help the faculty members who are in financial difficulty? it was really heartbroken incident in the history of pakistan, and great job Team Dawn. May All Little Souls Rest in Eternal Peace. Nice Effort Dawn. It was so pathetic and so mournful that Rolling tears down my eyes and cheek is not enough to mourn. I am at the near-end of my life. I wish and pray I will have some times to play with the martyred little ones in heaven. However, if my deeds (rather misdeeds) in this worldly affairs don't qualify me to go to 'jannat' for a while to play with the little ones, please God, I might have done some noble and good deeds in this world as well (for you to check them) and on that basis please issue me temporary visa for heaven to stay and play with the little martyrs. Nice work. However, it surpirses me that Muhammad Sami has been referred to as 'peon'. The word has specific derogatory history and we should abstain from using this term altogether in our society let alone in an official dawn post. With tears in my eyes after reading a few paragraphs I cant read the entire story. Its so painful to remember the tragedy. May you all boys and girls rest in peace. You all are my own. I love you and I miss you. We can pay tribute to these martyrs by not allow the teachings of hatred, violence and ignorance to take over. We must avenge these little angels by curbing the religious zealots of this country. Islam and teaching of our beloved Prophet Muhammad (saw) are about peace and tranquility. This violence by so called jihadis and their support from the fanatic Mullah has to stop!! Lets all take pledge to promote peace, kindness, tolerance and love. Lets focus on our own reformation and self improvement, as an individual. Promote education and give people Hope. Otherwise....... wild beasts and their supports will be in control and we cannot let that happen!!!! I appreciate all the work that Dawn does. The Urdu media should follow the example of DAWN. A wonderful and touching tribute. Thank you for sharing the lives and loves of a 144 beautiful souls. We will never forget our children. We will never let that happen again. We will make our Pakistan safe. Thnx dawn . 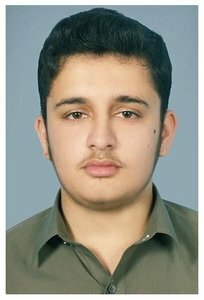 I am the brdr of shaheed ishaq amin and i am also injured in the aps attack. Bought me back to the blackest day of our country. i cried for 1 hour after knowing everyone's stories here. The names of these brave children will shine bright in the history of Pakistan forever. The nation will remain indebted to them. May Raheel Sharif be our true be our true savior. thank you Dawn, these roses aren't and won't ever be forgotten, I just wish our leaders could have learnt a lesson from the examples of courage and valor that our children and staff members showed in the wake of terror, but then they wouldn't be leaders would they? Reading all this after a year literally made me weep,the presentation was so clear and coherent that i recalled everything as if it happened yesterday .Thanks Dawn. They will always be remembered and will live in our hearts. This was our future and ignorance stole it from us. Prayers go to all the families who lost their loved ones this terrible incident. Would like to thank Dawn for this brilliant article, so informative and nicely laid out. Keep up the good work! Every time I see these children I see the faces of my own boys. I can't seem to stop crying. Why did it have to happen to us ? Who will avenge us ? How can we be sure this won't happen again? Unfortunately the grief turns to anger and I want to see heads rolling. This shouldn't happen to anybody. We better not let this slip under the carpet ! An excellent tribute to the martyrs. Very touching. Well done Dawn! This pain will never be forgotten,the tears will not dry and the wounds left open to rot the till the scourge of terror is dealt from the minds and hearts of the people who live around and within us. We can never ever forget this. Thank You Dawn for keeping the memories alive n by Looking all this breaks my heart; and my eyes move to tears. Rest in peace... little stars. Thank you Dawn for sharing these photos with us to remember the Shuhada of the APS and INSHALLAH their Sacrifice will bring the peace in the Pakistan. I feel like it just happened yesterday! Cant say much except this that: We shall never forget! Spectacularly captured the dreadful event and bravery of little martyrs... Brought me down to tears. What a great tribute to the martyrs of APS, Peshawar. You need bundles of appreciation for compiling the profile of all Shaheeds which made me very emotional. I prayed for the prosperity and Long life of the persons who contributed and collected complete profiles of all victims. Great presentation by Dawn. I didn't have the heart to go through it all but yes, tears, grief and memories. With the pray that they are resting in peace and that their families have somehow managed to move on, for them and for their ideals. It has been a year and APS kids still makes me cry. They are for sure in a better place now. you are right, this should never be forgotten and can never be forgotten. The pain inside is still as fresh as it was a year back! Im sure all of them are in a better world!! 16 December is the day of brutality which moved me to tears and refreshes the wound. Love you little stars. Militants are confused animals. We need another Hitler to Genocide Militant. I am deeply sad on what happened to these kids. Thanks for the Dawn Media for paying tribute to these kids. God give power to family members to face this disaster. Tears roll as we roll through these pics. What could have happened to the families of these people could not be imagined. This must never be forgotten. It is so heart warming to read the stories of so many generous souls. Many of these young men had such compassion to help the poor and needy. There are many such stories among the younger generations still living around us. Please listen to them, understand them and above all appreciate them. We elders are so much engrossed in our problems that we dont really give time to our youngsters. They are a much brighter generation than us who grew up in 80s and 90s. Our kids and teachers have set an unbelievable example of bravery. Thanks dawn.com for all 144 stories of martyrd students! may their souls rest in peace!we are proud of you champs! this nation is proud of you champs! these dogs (terrorist) can not stop us from going to school and study! May they rot in hell forever! Well Done Dawn for such a comprehensive piece on the victims of Terror Attack Pakistan Schoolchildren. This has revived the memory and reminded us of their sacrifices. It would be great if DAWN allows this to put this on the internet media on Dec 16, 2015 for the world to see, the tragedy and the bravery of these young kids. Thank you Dawn!! Thank you my brave and innocent children. We will never forget your sacrifice. Because of you, we are getting back to finding our future. We will never forget APS. DAWN you made my cry but I also laud your effort to cover each story so we should never forget them, this gave me another strength to stand alongside our security forces who are fighting against terrorism. I still say that بڑا دشمن بنا پھرتا ہے جو بچوں سے ڈرتا ہے۔ Long live Pakistan. Great work team dawn. This is really good effort. I am sure one has to have a hard stone in chest to go through this with out tears. Their sacrifice bounds us to serve the cause of peaceful and terror free Islamic Republic. Each one of us will be asked about it by the Almighty, I strongly believe. We must question ourselves. Can't stop crying...they were our children, our babies. Each and everyone of them was special...thank you for sharing their stories and giving us a glimpse into the lives they had..we will never forget them and we never should. "This must never ever forgotten " So painful and heartbreaking , we all as Pakistanis need to make these soles alive today and forever by remembering them in our lives, thoughts and prayers indeed. My prayers to the families , friends and siblings. We need to keep this movement alive, great work Dawn. Thank you. Words can't express my gratitude for remembering the little ones. Our sweet little angels. You will all never be forgotten. You remain alive in our hearts and always will. You all are in a better place. Our heroes. Our bachas. Love you all. A tragic event of our history which will haunt us for the rest of our lives. 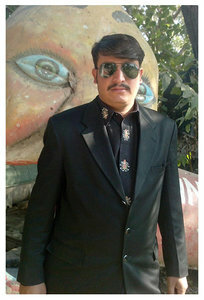 We need to unite and protect our future stars flowers prince and princesses of Pakistan. Almost impossible to browse through all of the stories. Too much pain! Dur dunya ka maray dam say andheera ho jaye! Har jagah meray chamaknay say ujala ho jaye! These stars are forever going to stay bright and brighten the whole world and wipe out the shallows, as they used to sing this every morning. RIP to all kids and I pray for them and their family. Its one of the shameful act which cant be ignored at all. Lets stand up , get united irrespective of race, religion and fight against the terrorism. I been browsing this website now and then. Thank you for putting this information. Amazing work by Dawn news, perfect. My Heartfelt Condolences ! i was deeply moved by this dastardly act against Innocence , may this is not repeated again any where in this world. One must do everything to defeat evil forces of terrorism. Heartbreaking stories about the young martyrdom, my deepest condolence are again with the families of all young children. Respected Project Director! I read 4 stories in Sunday's edition of Dawn, 13th December 2015, It was really difficult for me to hold my tears just to have a clear view of Paper. Khula, ahmad, Sami, and many others who left us after this brutal act of violence, at-least unit whole nation. It's really a great effort of team Dawn to collect memories of all Martyrs of APS. Condolence from every family. Heart moving. Wish some in your country could feel the pain of Mumbai Children who had died or of those who have lost their parents. Millions who have lost their Childhood in Kashmir, and Afghanistan. This brought tears in my eyes. Speechless! My teaful eyes are first to rerespond to this section. How can anyone forget. Thank you Dawn for continuing to remind the Nation of its tragic loss. Speechless with tears. I pray no such incident occur again. Salam to all little soldiers of my Nation. These little angels at last united the nation against the enemies of Pakistan and Islam. The terrorists left a permanent scar on the lives of many parents, siblings, and family members. When you read about how some of the families continue to struggle with the loss of their loved ones; you get a clear sense that many are yet to come out of the shock. We can relate to the pain brought by the indiscriminate killings at the hands of the terrorists. The U.S. and Pakistan share a mutual stance against terrorism and condemn all acts of violence. President Obama again condemned the attack on APS during PM Nawaz Sharif’s visit to the U.S. in October. It is important to stand united against those who threaten the safety of our land and people. Our thoughts and prayers are with the families and friends of the APS victims. We remember everyone who was taken from on during that horrific act of terror. The pain may never go away, but we sincerely hope that the loved ones find the strength to remain strong. These wounds will remain green forever. However, this is called justification with journalism. Good job dawn. Thank you Dawn; I have read each and every 144 story with teary eyes. A remarkable work by Dawn. Pl dont remove this memorial from your web-site, it should stay here to keep reminding us that what we have lost. A befitting tribute to the martyrs & survivors of the APS tragedy. A big thank you to all involved in the effort. What an immense tribute. Superb journalism - outstanding production. But I was unable to go through it. Simply overwhelmed. May the martyrs rest in the choicest part of paradise. We will always remember those deaths and sacrifices made my little angles. Thanks for documenting the painful event which shall remain an integral part of our Nation's History which triggered the change of its direction, hopefully for good. Kindly ensure the weblink to all this precious work undertaken by Dawn remains active & available, not only for now but even for our generations to come. Thank you Dawn - Keep on supporting those all those who have & will sacrifice everything, include their precious lives, for defending the Body & Soul of our Beloved Nation. love you all till the rest of my life. can't even think that somebody do this, absolutely they were animals. R.I.P #Black day of Pak's history. Dawn you are the Best! Thanks Dawn. The job of the media is to unite the nation. You make me cry and give courage to fight against all terrorists. Thankyou Dawn, for this tremendous work. And I humbly request, the team prepared these 144 everlasting stories to add two more stories also. One, about Nk Nadeem ur Rehman and 2nd, about Sep Naveed Ahmed.These two brave soldiers (medical assisstant), from Army Medical Corps. 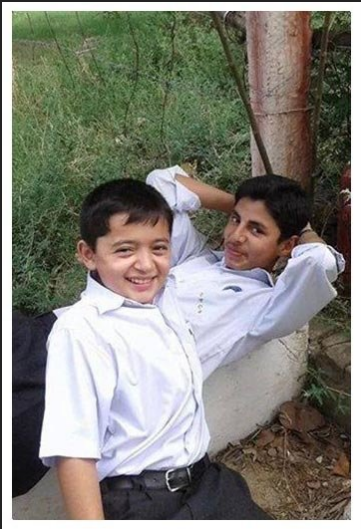 were also among APS martyres and embrassed martyrdom, during the same episode.We never forget them.I can provide these two sldiers' picture as well. We lost our dearest souls to the most heinous barbarism. Angels mourns the loss of our precious souls. No tribute shall ever be enough. Shaken and lost. Dawn, it's heart wrecking. Those little ones stories have teared up our hearts with sorrow and grief. No day we will forget them, their innocent faces will not allow our hearts and mind to move on, instead them beautiful souls and faces have changed our whole prospectives. Earlier, we were afraid of those ugly soul attackers but now we are ready to attack them back. With tears in eyes, and hope in heart we are ready to spread education. :') APS WILL ALWAYS BE REMEMBERED. Dawn you did it again. i Don't have words to express my feelings... I wanted to know those kids and now i feel like i knew them. My Heart is in pain. I wish there was a place I could read the stories about every single martyr. I know I would cry at every single one of them but I would still read them again and again. Don't have any words to express my feelings. Being a parent I can imagine how painful it will be to see the body of your child riddled with bullets. Our hearts jump to our mouth to see a cut or a bruise. This nation salutes all the parents for their sacrifice, we will never forget it, we hold your children close to our hearts. Great Job done by Dawn as well to honor the memories of the deceased. Omg. I'm crying. Sitting here in new Delhi I feel the pain of these children. May God have mercy on us. Since this attack I've not been normal. Omg. This is every time heartbreaking to see these innocent faces and remember the tragedy. May god bless the families of the martyrs. watering eyes of all !! as if someone killed my own!! Oh what an unending nightmare for people left behind, children and grown ups, friends, family, all. Hug each other before going to bed at night. Hug them during the day. Hug them as many times as you can. Hold hands when walking, put your arms around. Reassure them you are there and will be there for them. There is no overdoing in expressing love and assuring protection. What an immeasurable loss of lives and innocence. They are still alive in our hearts, they will never die. Couldn't read all the profiles. Too painful. What did these children do to deserve this? By God, got tears in my eyes after seeing all this. I shall never forget the APS massacre. how can people be so cruel that they kill innocent little angels. I am not brave enough to go through this article. Stopped at looking at the first photograph of that 6 year old girl ... Rest in Peace children. Hope you are at a better place. 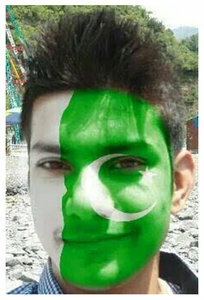 I am Bangladeshi,But I love Pakistan.Because All musolman brother.Pakistan-Zindabad.long live pakistan. Commendable reporting. Thank you for sharing the names, pictures and stories of those lost in the attack. It's really sad going through these obituaries but it would be even more tragic to reduce the victims to just a number. Prayers for the family and friends and most importantly the survivors of the attack. Shame on our elected representatives for covering up the real culprits and only thinking about themselves and their benefits. Kudos to our armed forces for uncovering and punishing the people involved and uncovering the network. Alas the states behind such crimes will continue till we have such politicians. Can we honestly feel and say with conviction that we have not let the blood of the martyrs of APS gone in vain? The annual commemoration of this atrocity would be really meaningful if our collective answer is in affirmative. May there Souls RIP and pray for god to give strength to there families. My heart aches. Cannot stop my tears. My prayers for all affected families. i am from india but seeing little ones photos bring tears from my eyes. what they have done to them they dont know anything about what is good or bad . they are no more in reality but they are in school coming daily and attending class playing with friends. please god take care of dem they are little angels. tears and pain, but the resolve says, Never again! Never forgotten, always remembered. Bravest of the brave, our children. Thanks for putting the story together. So sad. The only way for survivors to get closure would have been through Justice. Well-done Dawn. I hardly managed to stop my tears. My heart is praying for the martyrs, survivors and all the relatives affected. Remembering all the beloved kids on 2 years anniversary! I will NOT FORGET these 144 lives. Dawn, please keep the memorial up every year to remind us. Thank you! Heart melting words. Great work DAWN. This is actual journalism to keep connect ourselves with past sacrifices of these angels. Such sweet children. Reading about this was absolutely heartbreaking. Am still praying for the victims' families. People must all work together to combat evil. Many thanks to Dawn for this very moving tribute. Some wounds can never be filled up or repaired. The brutal attack on these innocent children and Beslan School seige are two of those. I hope I never see this brutality ever in my life again. I still can not let myself think and read about these children and others who lived through it. My prayers for these angels and their mothers, fathers, siblings and all loved ones. Thank you Dawn. We cannot forget them but we are so sad that our leaders have forgotten NAP and they are again waiting for some other incident to happen. I am in tears.Why they had to go? this tragedy of the lifetime heart wrenching . The Government of Pukhtunkhwa and Pakistan failed to investigate this heinous crime and bring to surface the shortcoming, failures and the culprits they perpetrated and their accomplices handlers and sympathisers. Our thought and prayers are with the families who still have to deal with trauma. could not keep my emotions while seeing those young flowers gone for ever. We may be miles apart from Florida USA to Pakistan, but our hearts are together now. Every human feels the anguish for these dear little children in their innocent lives, who had the whole world beyond, welcoming them forward. the guys who did this are monsters. Very sad breaks my heart. Could not read till the end. May the souls of these flowers rest in eternal peace. Just can't read .......heart is crying Till today can't understand how a man was able to such a tragedy. Tears. Innocent souls of Paradise. Even a slight thought of what these innocent and defenseless little souls may have gone through, upsets and pains me. We can never bring those departed souls back or undo the incident but at least if we learn lessons from it and make sure such brutalities never happen again, it will be great service to us and to our future generations. First of all my prayers are with the Affected families. For us Indians the death of our former PM Sri Rajiv Gandhi was a day of reckoning,far more hurtfull and grevious is this Peshawar incident,i was expecting some real changes in Pakistan but feeling extremely sad to write that lessons have not been learnt. I dont know what more can bring the change.